Looking for the best reference solid state, tube amplifiers or mono blocks for your high-end system? E-mail us or call us today that we have them starting $1295 to over $180,000. We are experts with over 25 years of experience selling reference Amplifiers and Monobocks. Call High-End Palace today at 786 388-8050. 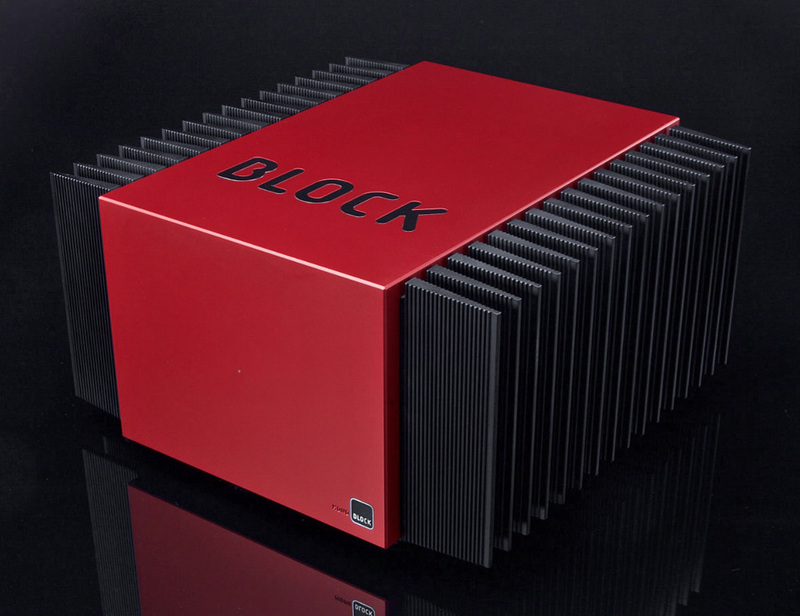 The Block Audio Mono Block SE are available in red and black as shown in these pictures and also silver and black. 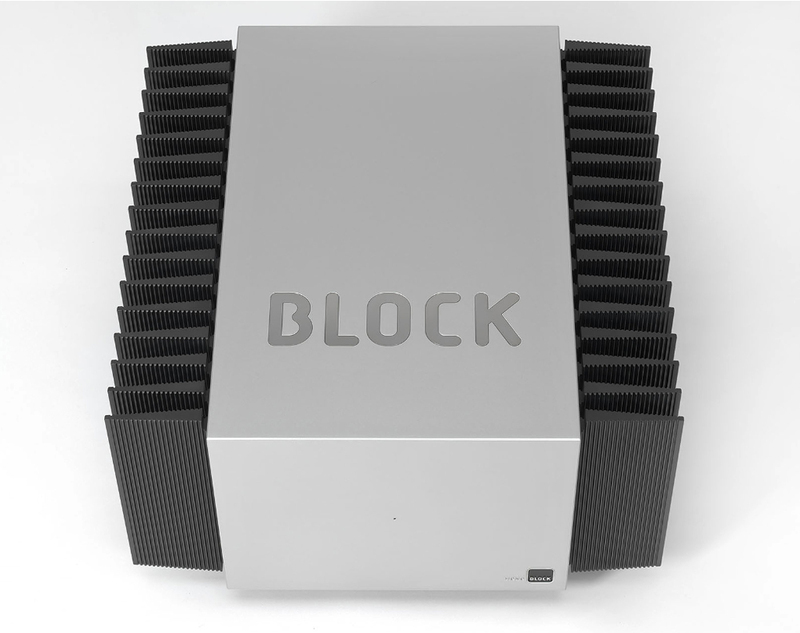 During our trip to High-End 2018 in Munich, Germany I was introduced to Block Audio. I was blown away by the craftsmanship and their stunning unique look. 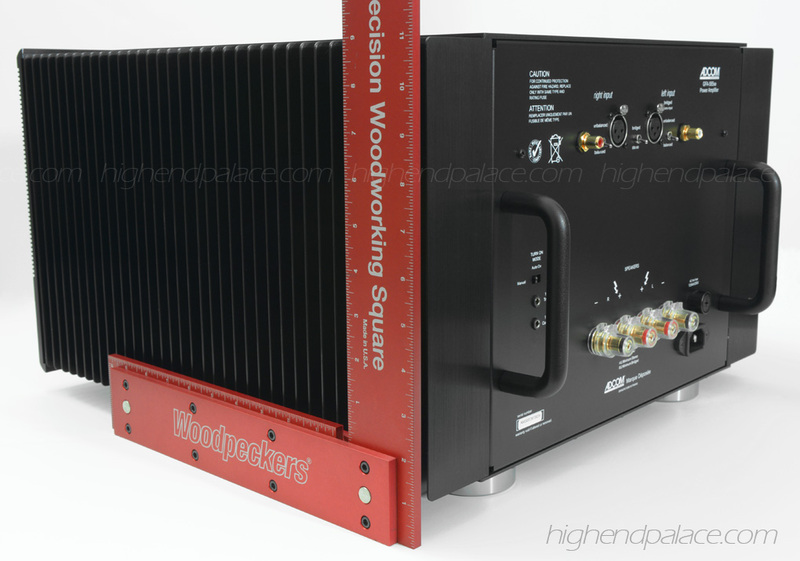 The world-class Mono Block SE features up to 200 Watts of PURE Class A - 250 Watts per channel in 8 Ohms, 500 Watts per channel in 4 Ohms beasts, custom made low-noise and low-radiation toroidal transformer, 500 000 µF of power supply-filter capacitance (per channel), A smart PCBA’s and mechanical architecture allow shortest audio signals and power supply paths without any internal wiring, 90 kg/198 lbs x 2, 110 kg/240 lbs x 2 lbs in custom flight cases. NEW! 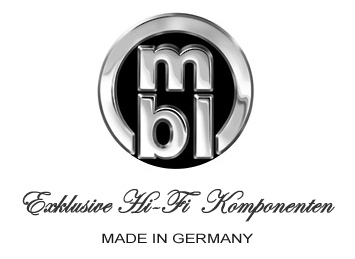 Canary Audio M600 PURE Class A Reference Mono Block Amplifiers now available with BLACK or CHAMPAGNE/GOLD faceplates. 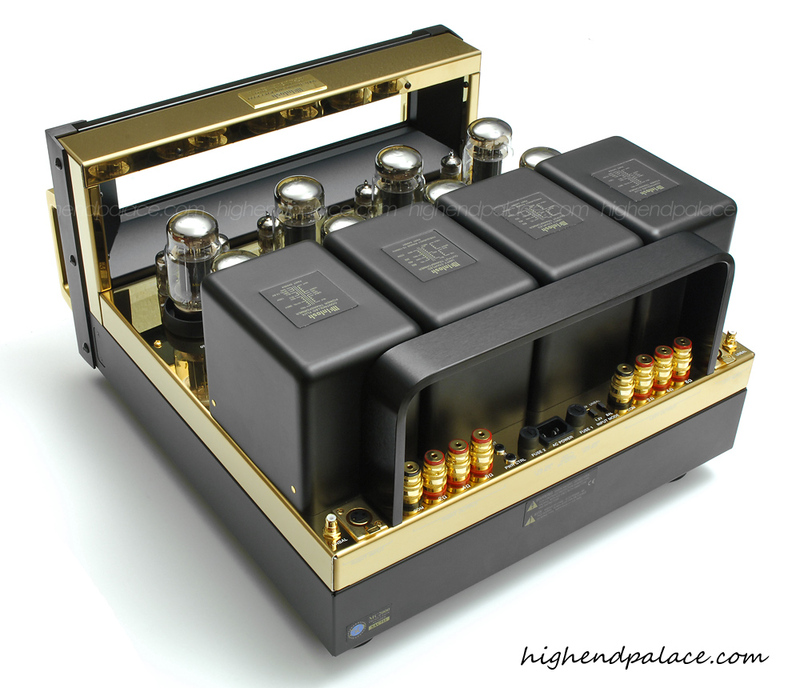 New at High-End Palace "The king of the 300B output tubes amplifiers" Canary Audio. 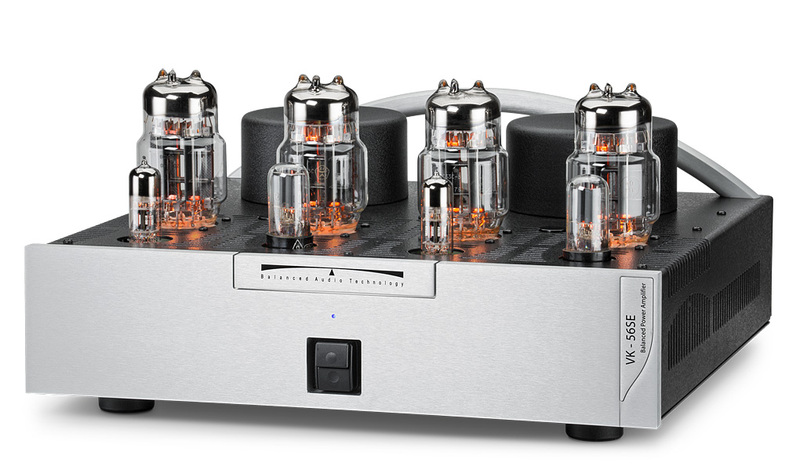 Experience the magical open sound of the new M80, M330, M350 and CA-339 Mk II, M600 and REFERENCE TWO PURE Class A Reference Mono Block Amplifiers featuring the 300B output tubes. See the complete line up of handcrafted 300B amplifiers made in California, USA. Contact Larry D. Diaz at High-End Palace 786 388-8050 for details that you will never be in better hands. Link to CANARY AUDIO website. I have known Canary Audio for over 15 years from seeing them at the audio shows, at customers homes over the last twenty years and units which we have sold here at High-End Palace through the years. I decided to become a dealer after seeing and hearing these new 2018 Canary Audio M350's PURE Class A Reference Mono Block Amplifiers. These stunning golden pieces of art has stolen my heart visually and sonically. They have a great footprint of only 12.5" wide by 18" deep, not too big, not too small, just right and they sound as good as they look. I tested these beautiful M350's with several superb loudspeakers and the results were beyond impressive, even with a set of the big full range 6.4 feet tall Dynaudio Evidence Temptation's and the sound was seductive, liquid smooth with amazing airy finesse and deep bass reproduction. I was very surprised since these M350's are only 50 watts per channel but I have always known that with PURE Class A designs like these the book of watts is out the door. The current and quality of watts makes them drive basically any high-end loudspeakers. Here is a prime example! 32 Watt Class A $135,000 Lamm ML-3 Signature Mono Block Amplifiers driving the big Wilson Audio Alexandria Loudspeakers at CES. Conclusion! These most likely will be the last set of mono block amplifiers you will invest in. If you are the type of listener that likes vocal, classical, jazz, piano and violin concertos, simply superb high-end recordings these M350's will bring new life to your world. The sound of these M350's rivals with the absolute best in the industry, they look gorgeous, the sound is glorious and they don't run hot so these will last you a lifetime. They are priced at just $12,495, now that is an absolute deal for a set of PURE Class A Reference Mono Block Amplifiers with eight 300B tubes that reproduce pure magic. NEW! 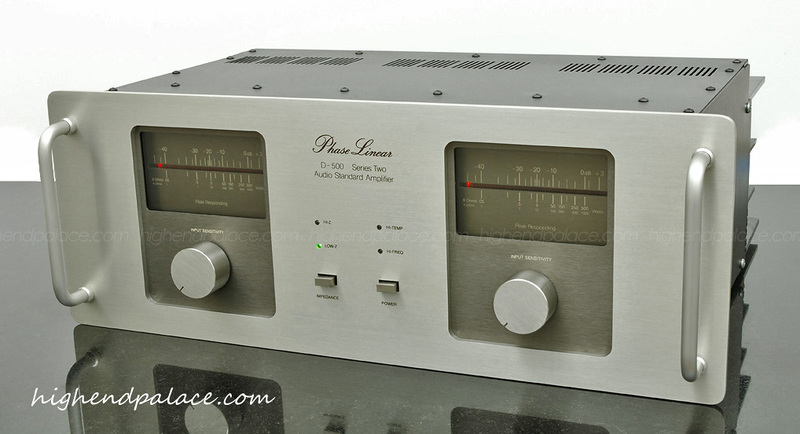 PASS LABS XA25 Stereo Amplifier providing 25 Watts per channel in Pure Class A $4995. Pass Labs features their patented circuit topology super symmetry in all their CLASS A and CLASS A/B designs. 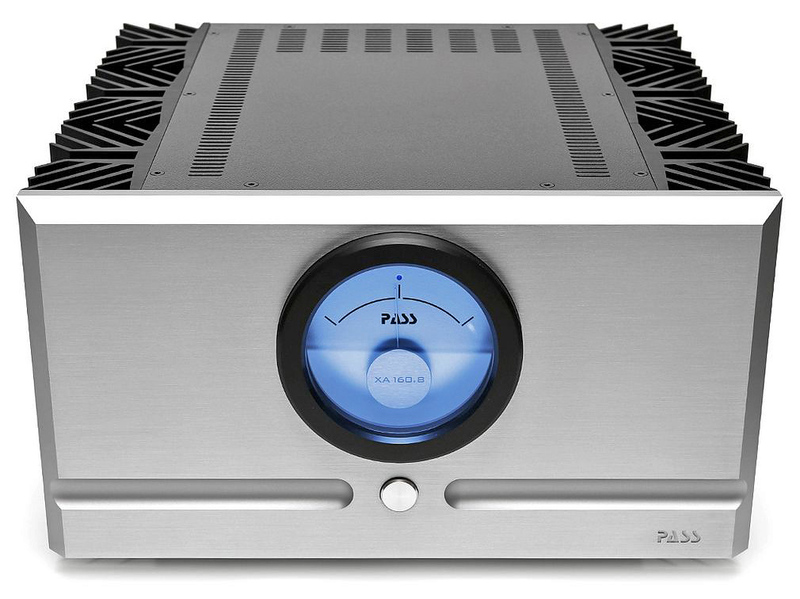 We describe the sound of Pass Labs as warm, liquid with incredible control yet retaining the neutrality and resolution of high-end solid state designs. 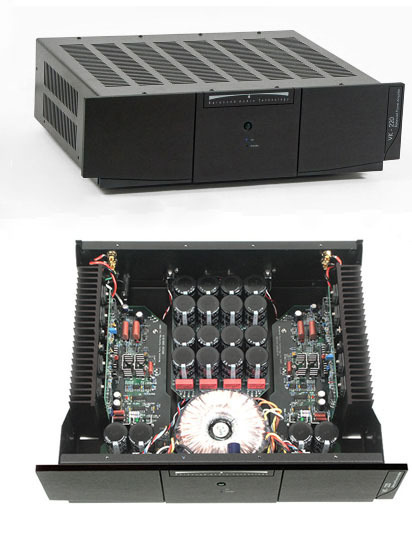 Pass Labs is regarded as one of the top five manufacture of high-end stereo and mono amplifiers in the world. For details contact High-End Palace 786 388-8050. Link: PASS LABS website. 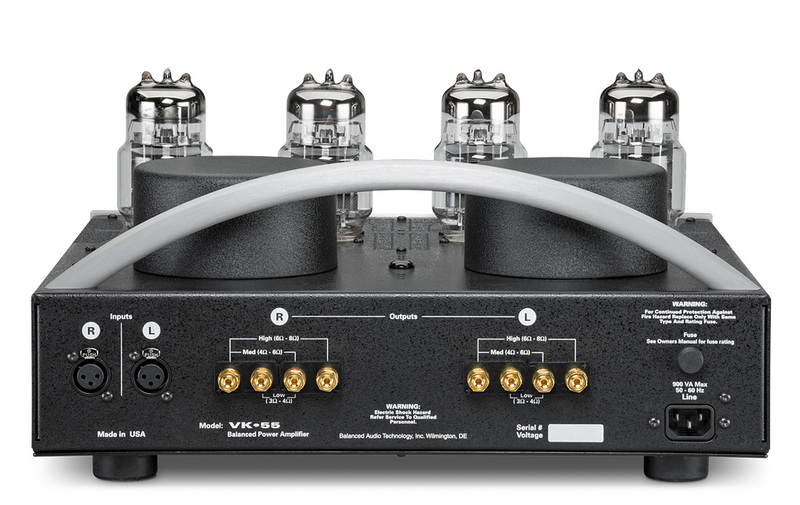 Fully balanced VK-655SE Dual Mono Amplifier is the ultimate expression of BAT amplifier engineering. 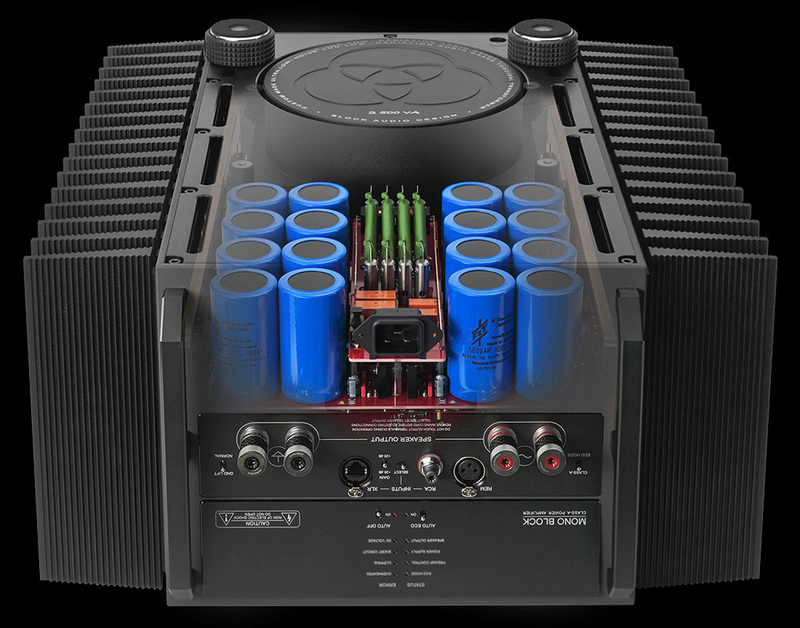 Available in Stereo or Monoblock configuration, it features only two gain blocks in a high-power, zero feedback, oil-filled capacitors and featuring independent channel assemblies, power transformers, and even separate power cords for the left and right channels. This purist approach to dual-mono construction offers benefits in reproducing the maximum soundstage width as well as depth. In addition, the micro, as well as macro, dynamics of music are simply reproduced with ease. A true dual-mono component featuring independent channel assemblies, power transformers, and separate power cords for the left and right channels, the purist approach-based yields maximum soundstage width and depth. Finite micro- and macro-dynamics are reproduced with ease. A revised power supply incorporates the same second-generation oil-filled capacitors used in BAT’s flagship REX II preamplifier, dramatically lowering the noise floor and portraying grain-free, extra-refined harmonics. Dynamic responsiveness remains the recognizable difference between live and reproduced music. The VK-655SE couples quickness, slam, and dynamic range with an extended, deep soundstage and an exquisite fidelity to the timbre and texture of instruments and voices. Indeed, the sound of the VK-655SE and REX II power amplifiers converge upon the same ultimate goal: sublime reproduction of music independent of the devices employed. By utilizing only the highest-grade parts throughout, BAT allows the VK-655SE to yield supremely transparent insight into any music you play. It’s time you experienced such beguiling sonics for yourself. The fully balanced BAT Vk-255SE offers BAT-PAK, Oil Capacitors,Two Gain Stages, Zero Global Feedback Design, Design-Input to Output, Dual Mono Construction, N-Channel MOSFET Circuit, XLR inputs and beautiful 1" thick name plate and faceplate. They increase the high-quality filtering capacity, dramatically lower the noise floor, and present a grain-free, more refined portrayal of musical harmonics. Coupling speed and grace with an exquisite fidelity to the timbre and texture of instruments and voices, the VK-255SE markedly closes the performance gap between vacuum tube and solid-state amplification. It will serve as the anchor of any world-class system. Contact High-End Palace for VK-56, VK-56SE, VK-225, VK225SE, VK-255SE, VK-655SE and REX II Stereo and Mono Block Amplifiers! During one of my high-end audio trips I discovered something very special, Vitus Audio Class A components from Denmark. As you all know music is my life, is what I know well, what I get to do everyday and the only thing I have done for the last three decades. Now days is very hard for me to be impress by components or a high-end system unless is something truly spectacular. I as a perfectionist audiophile, music engineer and a talented musician know when something is out of this world after a few recordings that I always take to the high-end shows so that I can listen to personal familiar reference recordings that covers A to Z in realism, stage depth, openness, dynamics, bass extension, vocal smoothness, air, interaction between instruments, sibilance perfection and high frequency naturalness. I was quite taken by the pride of craftsmanship and sound quality of Vitus Audio. You will not believe the degree of sonic perfection they deliver. I am always looking to improve, learn if there is something to be learned, we as humans never stop learning no matter how much we know in our field or how smart we are. Listening for nearly two hours to Vitus Audio Class A components made me realize that there is another level of refinement and musicality for high-end audio lovers and perfectionist. The Vitus Audio SS-101 shown above is the outcome of many years of dedicated efforts by designer Hans-Ole Vitus. From the very start, his aim has been to bring out the best in musical recordings, using his experience as a musician. 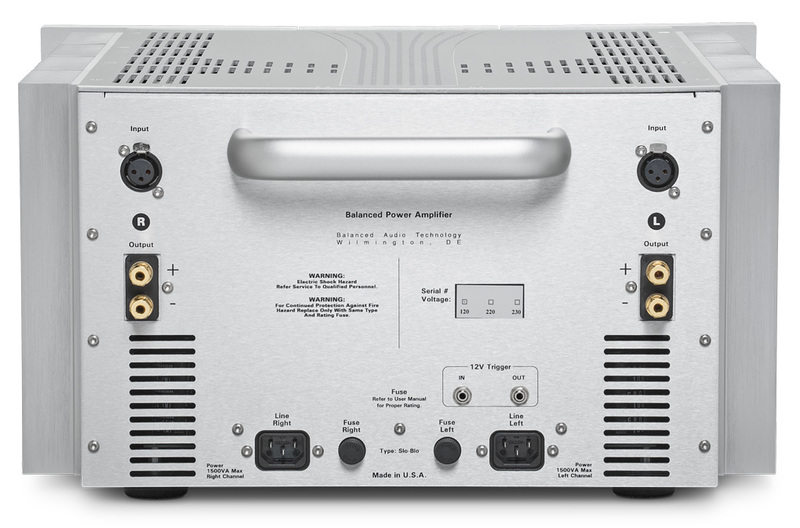 For those who want the very best in performance the SS-101 is our statement stereo power amplifier. A completely no-compromise design, this amplifier will take on the very finest products from around the world, regardless of their cost! The SS-101 houses brand new circuitry, which uses only finest matched transistors and super precision resistors to ensure optimal working conditions for the different stages of each module. This combined with a special coupling of each input stage, results in an ultra linear frequency response. The true balanced design, together with the local shunt regulated power supply, ensures excellent signal to noise ratio, making it possible to reveal every micro detail in the recordings. The result is a power amplifier, capable of exposing micro details/dynamics never heard before without compromising the coherence of the recording. As the design is true balanced, all non balanced signals are converted to true balanced straight at the first input stage. It is part of the Signature series, which contains only the finest electronics we can make. The performance of these products redefines how close to the live event you can get by listening to reproduced music. For those who want the very best, there is no finer choice than the SS-101. A product that is sure to become a true classic in every sense of the word. Here is a link to the Vitus Audio website so that you can see their whole line up: VITUS AUDIO. Aiming for the world’s best, the peerless sound of pure class A and power MOS-FETs is the ultimate dream of many audiophiles. The A-60 offers that and more: MCS topology in input stage reduces noise to negligible levels, and current feedback combines operation stability with excellent frequency response. Outstanding characteristics are achieved using only minimal NFB. Two other design goals realized in this amplifier are very low output impedance and constant voltage drive for the loudspeakers. Ten pairs of power MOS-FETs renowned for their superior sound are arranged in a parallel push-pull configuration for each channel, and driven in pure class A. The power supply with massive “Super Ring” toroidal transformer delivers linear power into ultra-low impedances down to 1 ohm. 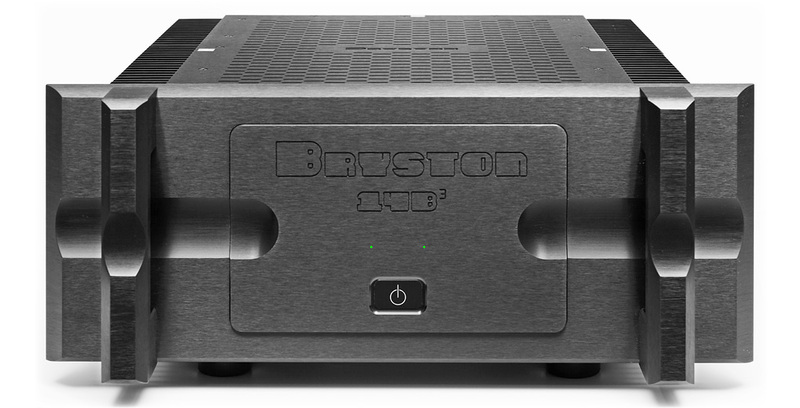 Bridged connection allows upgrading to a monophonic amplifier with even more power. Dual-function power meters show digital readout or bar graph display. Link to Accuphase website. Contact us for all Accuphase components! 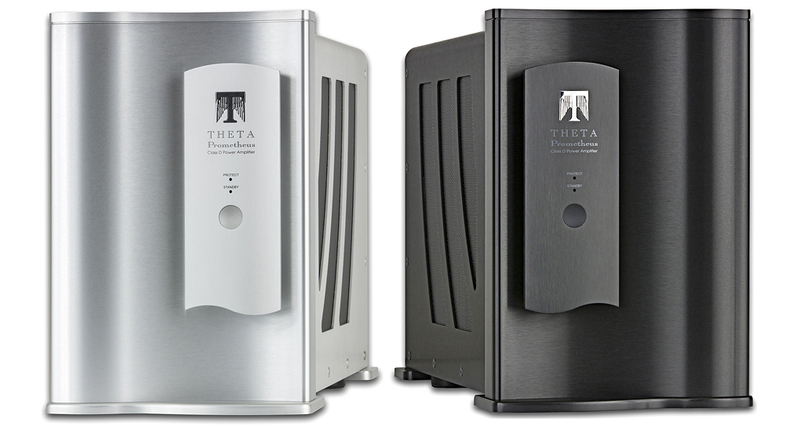 The world class Theta amplifiers and mono blocks have a zero global negative feedback, true balanced differential design, custom-made capacitors, Vishay precision resistors, copper buss bars, Teflon wires and custom-made output connector just to name a few features. 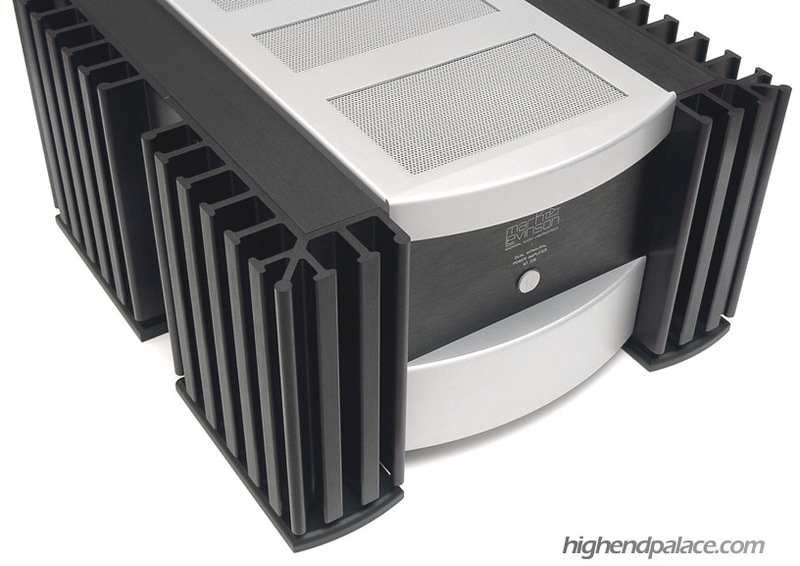 These stunning powerful amplifiers and mono blocks are made for the finest high-end audio systems and theaters. Available in custom brushed aluminum silver or black as shown in the photo above. Link to THETA Digital. 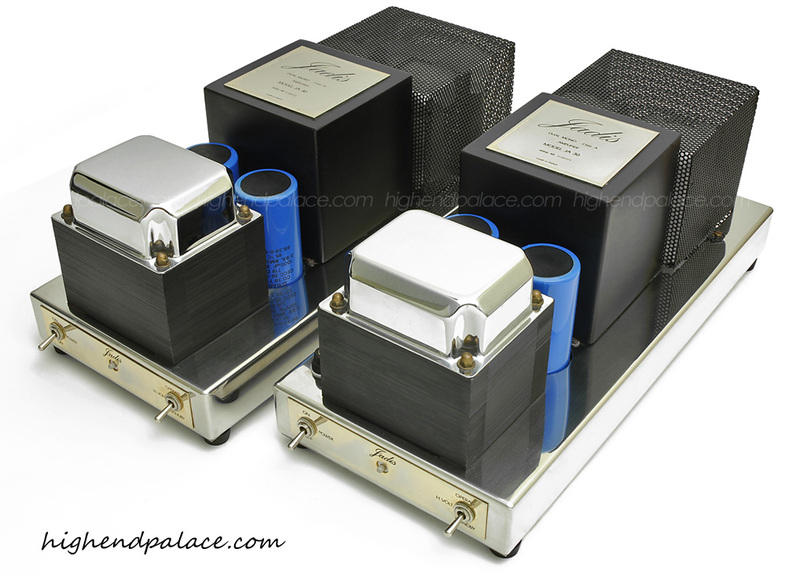 Contact High-End Palace for THETA Amplifiers and Monoblocks! Push-pull 250 and 500 Watts per Mono Block with TRIODE/TETRODE switching, MANLEY Precision output transformer, WBT binding posts, BALANCED & UNBALANCED inputs. World class tube sound! 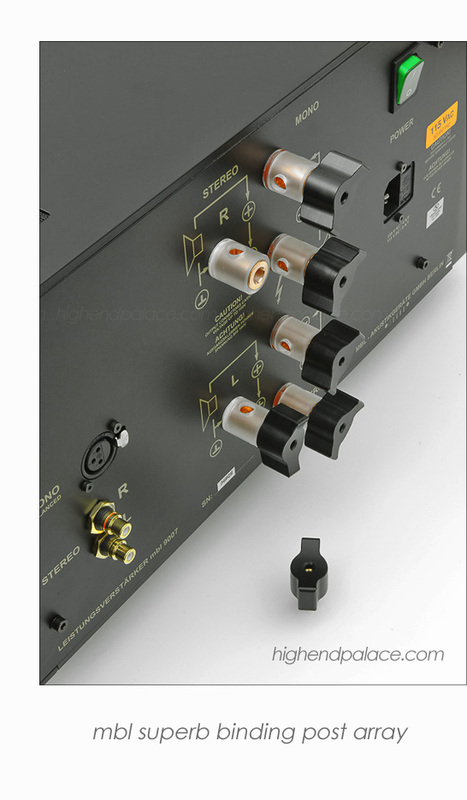 Stereophile CLASS A Recommended Component. Link to the Manley's website. 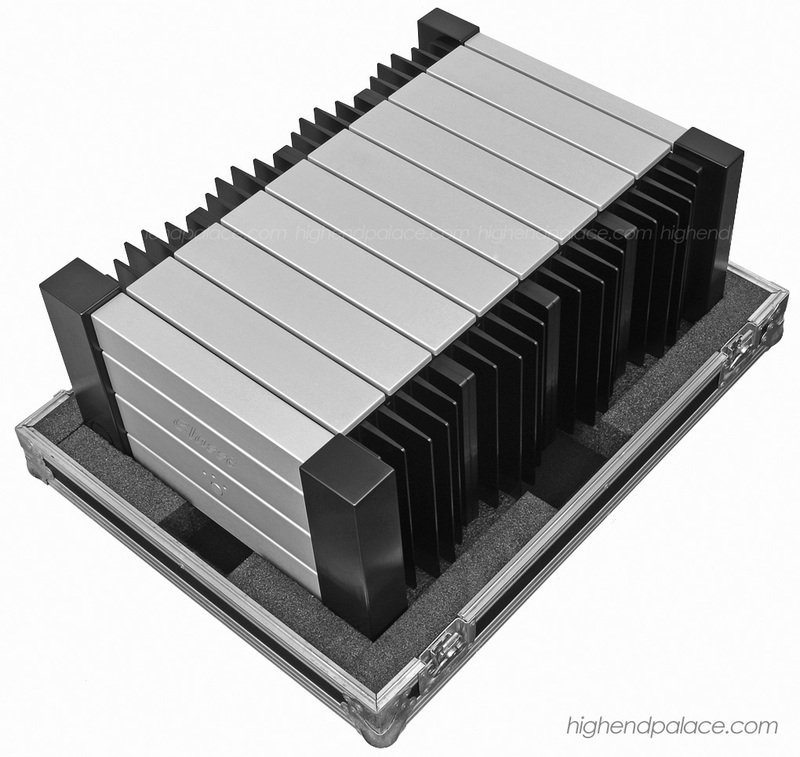 Contact The Palace for Manley components! 2019 ADCOM GFA-585SE - Accurate Dimensions by High-End Palace: 11" Tall x 17" Wide x 19" Deep. NEW! 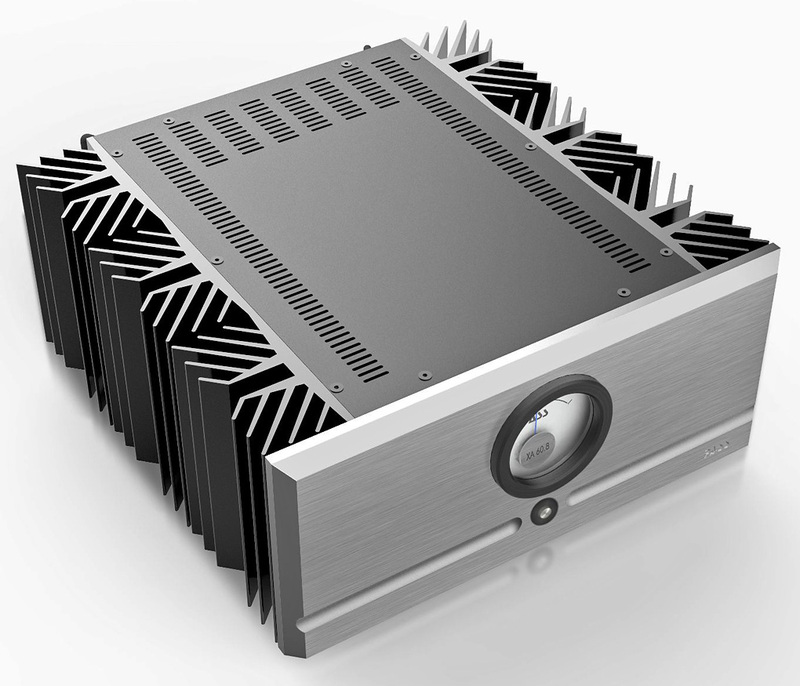 ADCOM GFA-585SE Monoblocks Audiophile Edition $5998/Call us for pricing during our ADCOM Special Pricing Promotion! 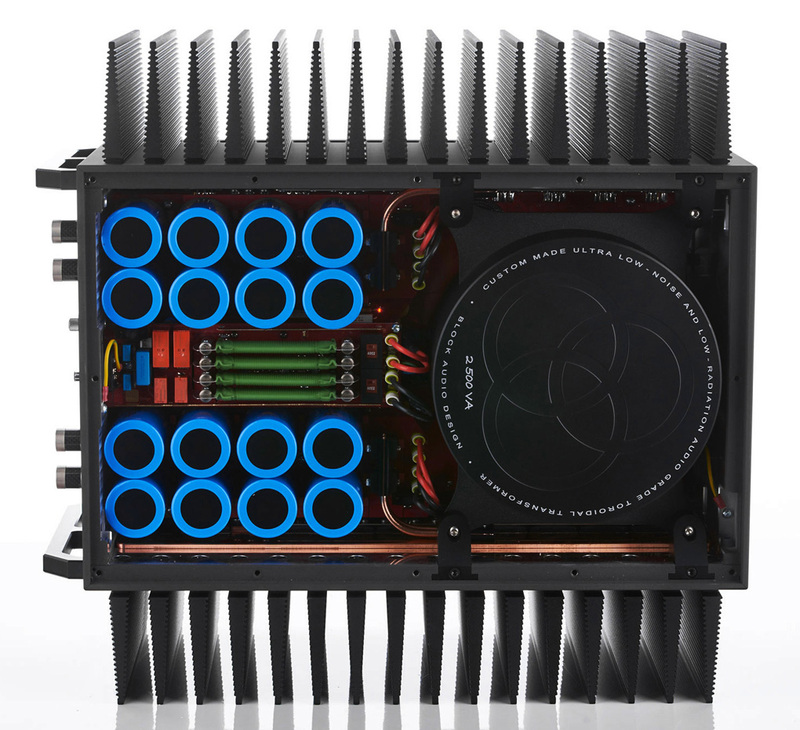 FREE FEDEX DELIVERY - New flagship 900 watts per monoblock in 8 Ohms or 1200 watts per monoblock in 4 Ohms featuring a true balanced design with a 1700 VA Toroidal Power Transformer, four tall-large size blue capacitors and 28 premium Beta-matched output transistors for each monoblock. Accurate Dimensions and Weight by High-End Palace: 2 x 11" Tall x 17" Wide x 19" Deep. Weight 192 pounds. NEW! ADCOM GFA-585SE Audiophile Edition $2999/Call us for pricing during our ADCOM Special Pricing Promotion! 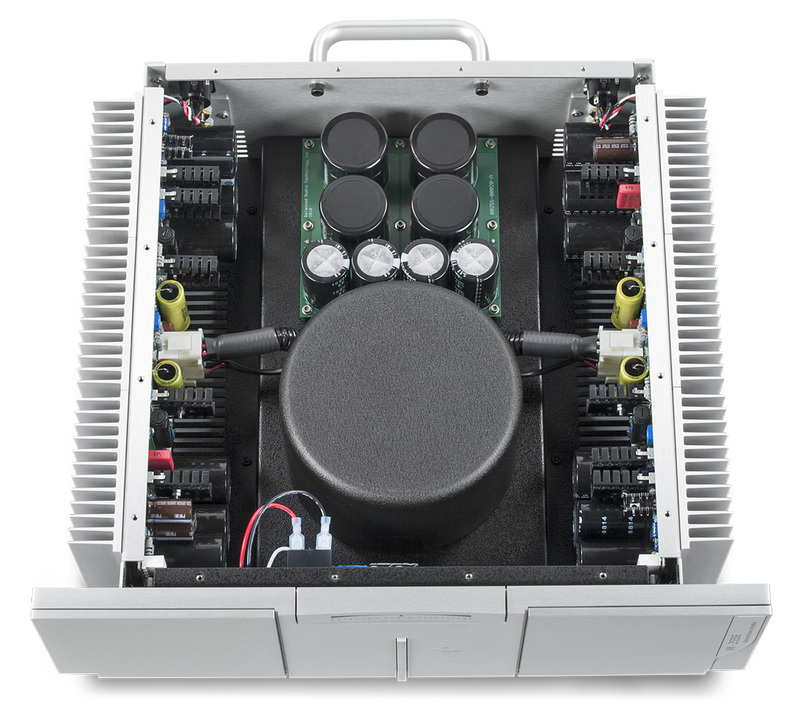 FREE FEDEX DELIVERY - New flagship 450 watts per channel beast in 8 Ohms featuring a true balanced design with a 1700 VA Toroidal Power Transformer, four tall-large size blue capacitors and 28 premium Beta-matched output transistors. Accurate Dimensions and Weight by High-End Palace: 11" Tall x 17" Wide x 19" Deep. Weight 96 pounds. NEW! ADCOM GFA-575SE Audiophile Edition $2499/Call us for pricing during our ADCOM Special Pricing Promotion! 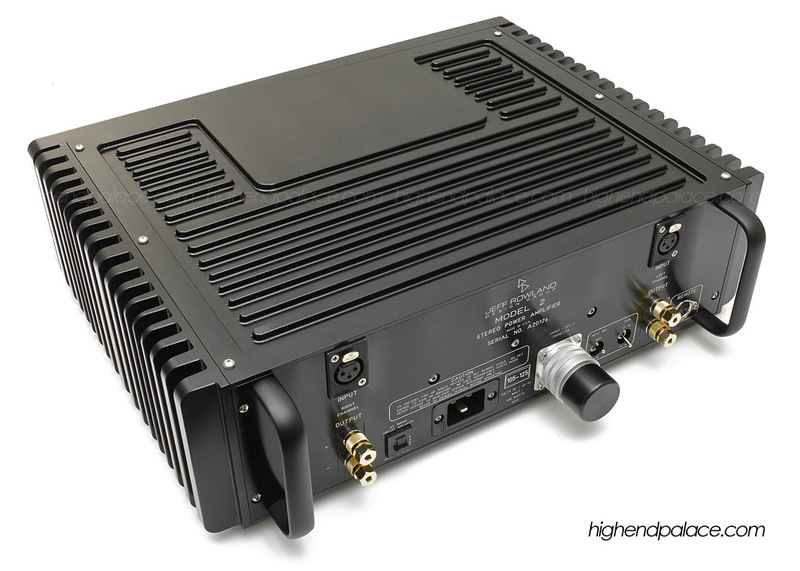 FREE FEDEX DELIVERY - New 350 watts per channel in 8 Ohms or 900 watts in mono. Dimensions: 9.25" Tall x 17" Wide x 19" Deep. Weight 82 pounds. NEW! ADCOM GFA-565SE $1499/Call us for pricing during our ADCOM Special Pricing Promotion! FREE FEDEX DELIVERY - New 250 watts per channel in 8 Ohms. Dimensions: 7.50" Tall x 17" Wide x 14.25" Deep. Weight 56 pounds. Contact us during our ADCOM Special Promotion Sale! 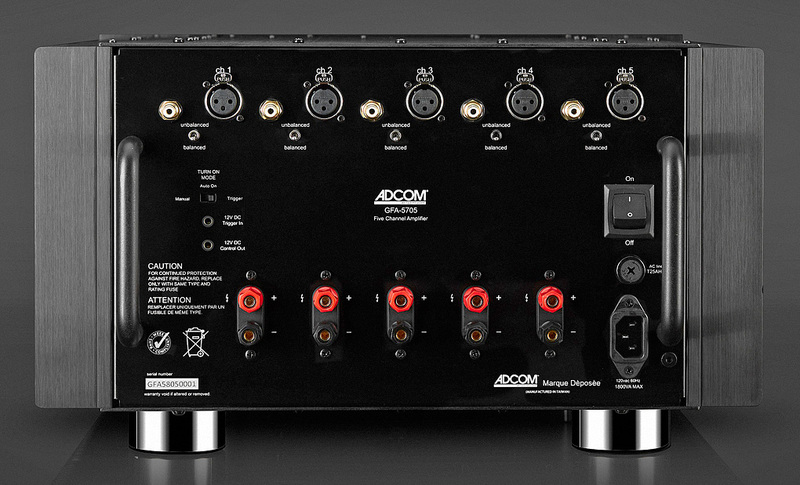 I have personally enjoyed the performance of these new ADCOM GFA-585SE Amplifiers for the past few weeks. 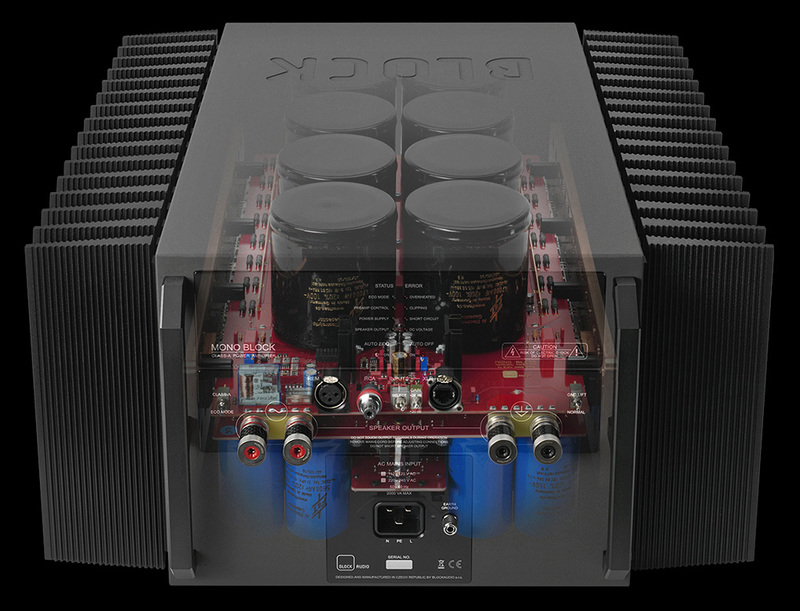 Coming from a man that has heard, owned and sells the best amplifiers and monoblocks available in high-end audio I can tell you that this new beast of an amplifier will please 95 out of 100 audiophiles. You will be beyond amazed at what you will hear with this new true balanced design. Do not mistake this GFA-585SE with what you have heard or seen in the past from ADCOM, this is not your father's Oldsmobile. This is the clearly the new standard in performance versus price investment. Let's talk about power! There is no replacement for power, for quality current to your loudspeakers! 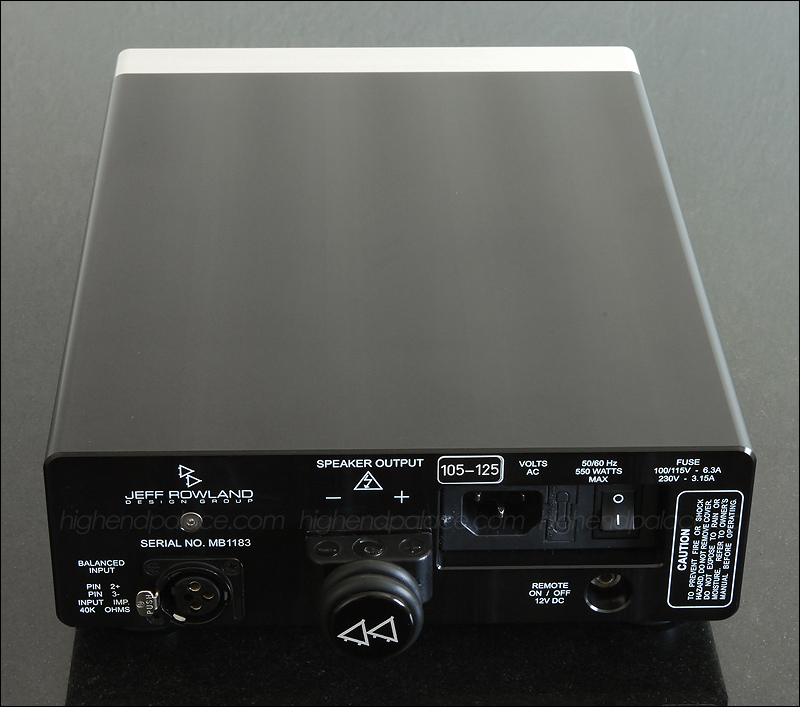 Even a small 2-way monitor benefits hugely when you put a nice 200 to 300 watts amplifier, for mid-size full range models 300 to 500 watts and for large full range loudspeakers 500 to 1000 watts per channel is what I recommend, that would be ideal for most systems. You will notice a fuller sound, deeper bass, superior clarity, and dynamics you never heard before. 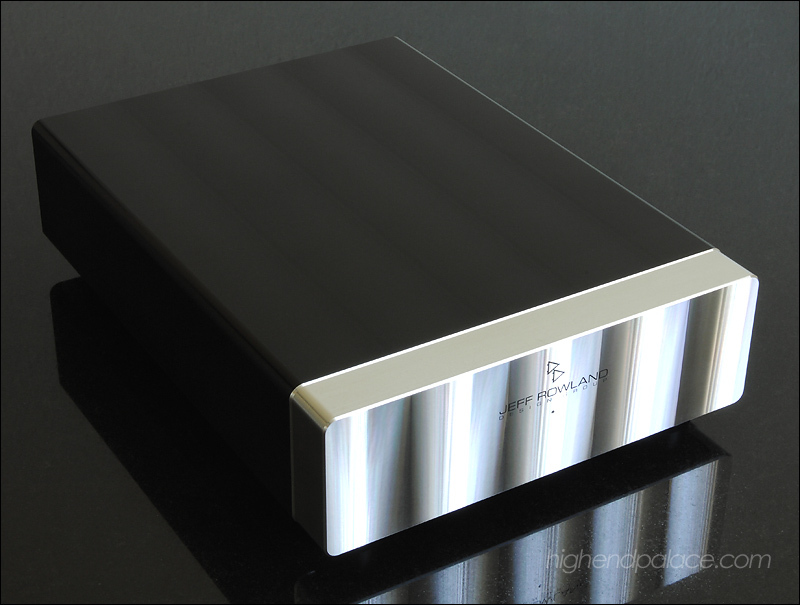 Out goes thin bright sound when you have a good solid high-end amplifier that delivers high current, high-power! It has nothing to do with loudness, it has to do with superior control and power reserve. Is like cruising at 80 miles on a highway with a V12 engine versus in a 4 cylinder car. With an open budget you can even take your high-end loudspeakers a bit further, for example using high power solid state for the lows and even the option of using tube amplification for the highs if you which with an active crossover to have the best of both worlds and have full control to how much lows and highs you like. 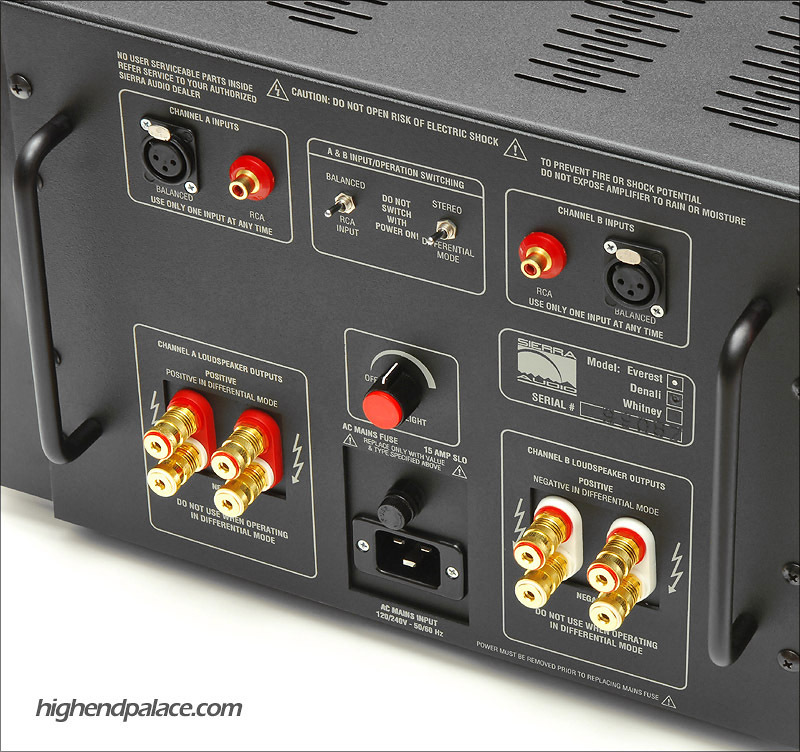 This is also an option for those customers that have high-end low power tube amplifiers that do not have the proper power/current to move your full-range loudspeakers by removing the heavy load of reproducing the hard part of controlling the low-frequency drivers. You can dedicate the tube amps just for the mids and highs and get a big high-power amplifier to reproduce the lows and take your system to another level of performance. Remember the tube amplifiers can be a beautiful sweet thing but if you over drive them or ask more than they can deliver that beautiful sweet thing is out the door. HERE IS A MUST SEE VIDEO ABOUT HOW MUCH POWER DO YOU REALLY NEED FOR YOUR SPEAKERS BY ALAN SHAW FROM HARBETH LOUDSPEAKERS UK. THE RESULT MIGHT SURPRISE YOU. 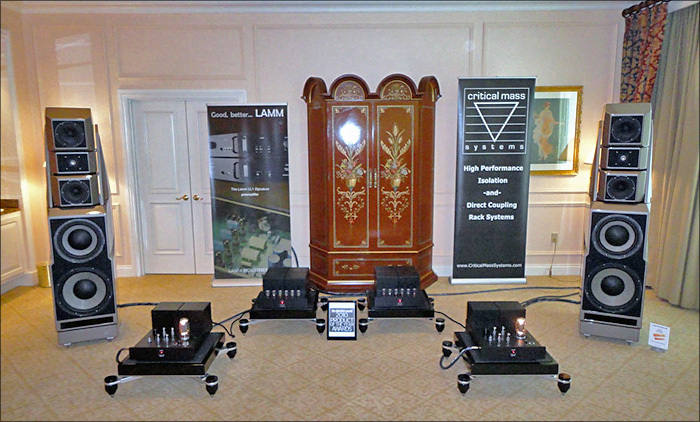 HERE IS ANOTHER MUST SEE VIDEO OF MUSIC PEAKING AT OVER 1000 WATTS IN PASSAGES AT CES IN LAS VEGAS WITH TWO CH PRECISION M1 AMPLIFIERS RUNNING IN MONO. 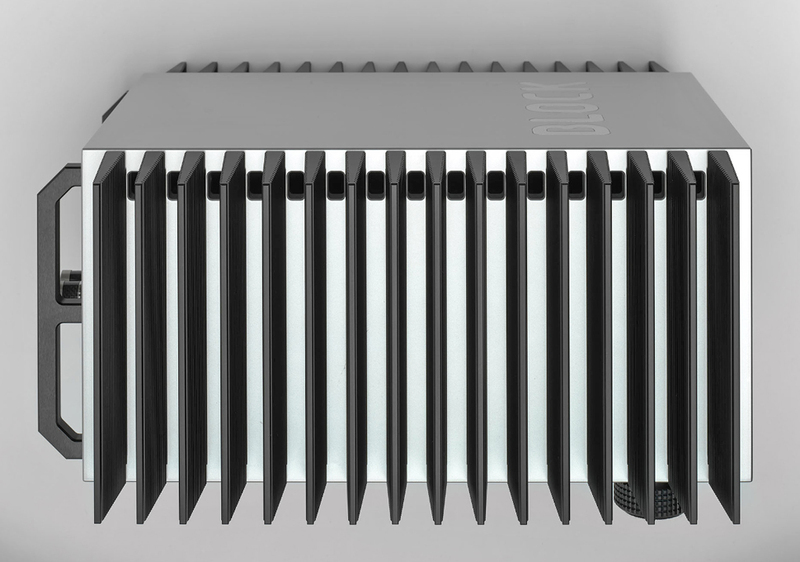 The new ADCOM GFA-585SE Amplifier is a game changer and the only ticket to high-end sound for a music lover that does not want or simply can't spend $10,000 to $70,000 for a top-rated high-end stereo amplifier. Now! 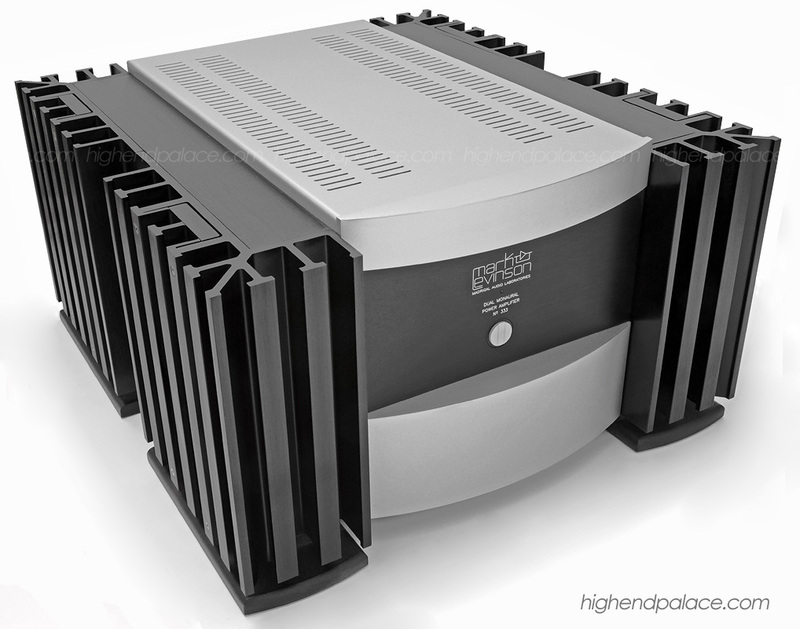 I am not saying not to buy your dream $30,000 high-end stereo amplifier or $85,000 four chassis Class A dream monoblocks if you have the desire and means to do it. 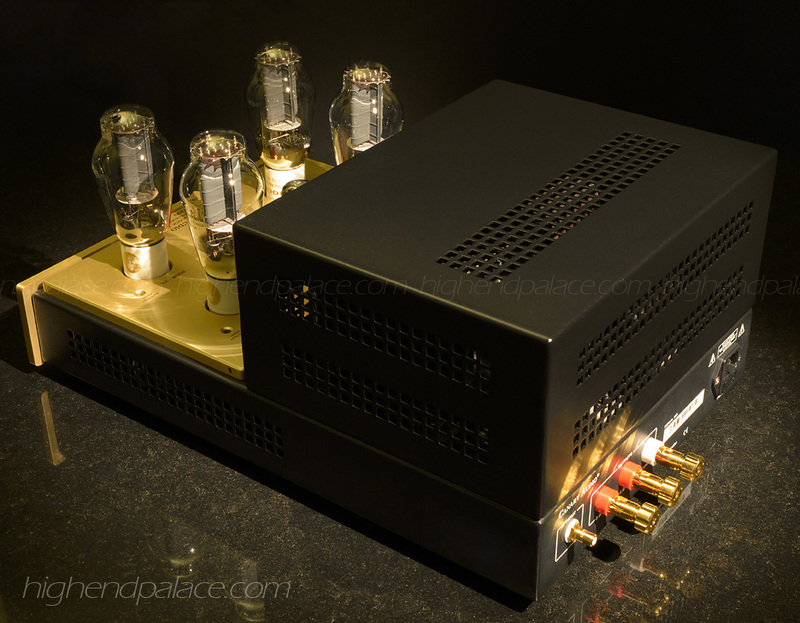 That pleasure of reaching that extra 25 to 30% of audio and visual perfection is priceless but it comes at a price, and in case that you might want that perfection we happen to sell those high-end amplifiers and monoblocks here at High-End Palace too, just in case is your birthday. After a great listening session with two of my audiophile friends, I went even a bit further like I usually do and ran two GFA-585SE in Mono just to see what it will do and once again I was surprised. If you have a set of nice full range loudspeakers you can run a pair of GFA-585SE in mono, that will give you 1000 to 1200 watts of power per chassis in mono operation. 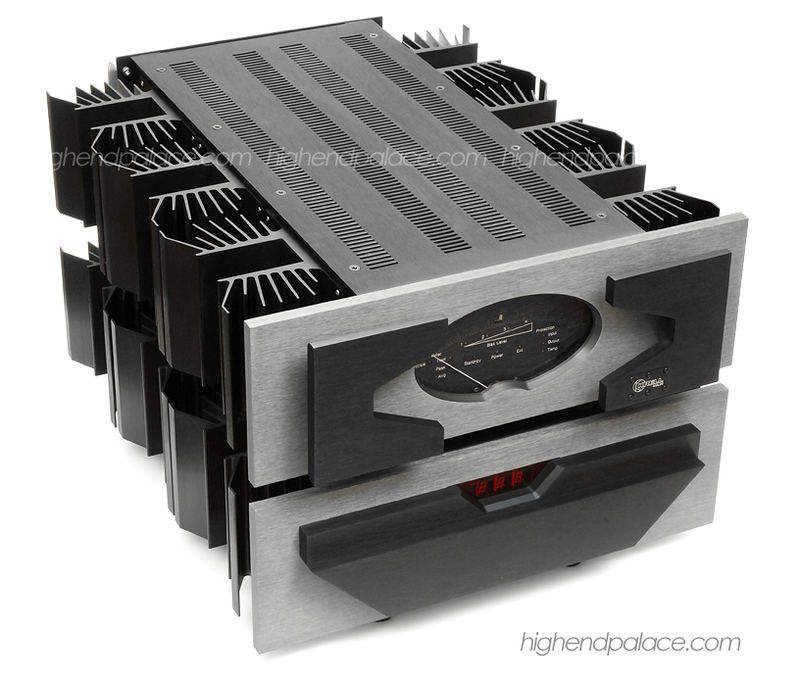 This is simply the best way for truly amazing sound for high-quality power at an affordable price considering that most high-end audio monoblocks ranging in the 600 watts to 1000 watts starts about $20,000 to well over $100,000. Conclusion! 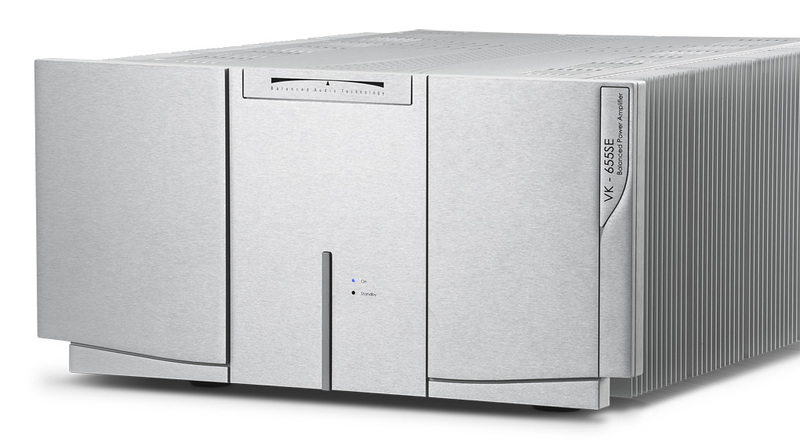 The latest GFA-585SE is a real winner. I recommend a good reference tube or solid state preamp and you got true high-end sound under three grand for the stereo version or under six grand for two amplifiers running in mono. If you are looking for high quality amplification in this range of price I will personally give you 14 days to try the new ADCOM GFA-575SE or GFA-585SE in your system and if you are not beyond satisfied, I mean with a smile in your face you can send it back for a refund. The GFA-5705 Reference Multichannel Amplifier provides 200 watts per channel in 8 Ohms and 300 watts per channel in 4 Ohms x 5 channels in a high-quality fully balanced CLASS A/B high current design. Dimensions: 10.75" tall x 19" wide x 19.75 Deep. Weight 91 lbs. For details contact Larry at High-End Palace 786 388-8050. 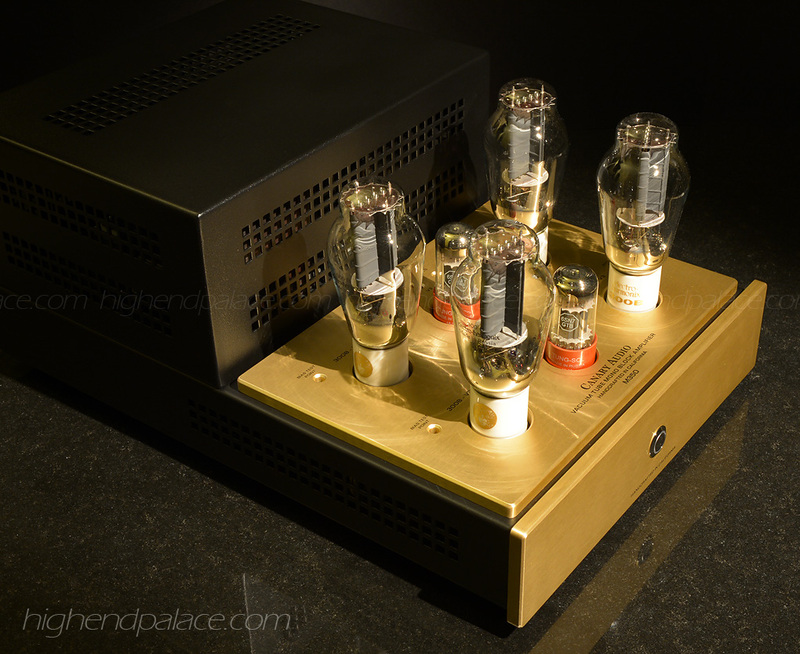 Contact High-End Palace for the new 2019 ADCOM GFA-5705! 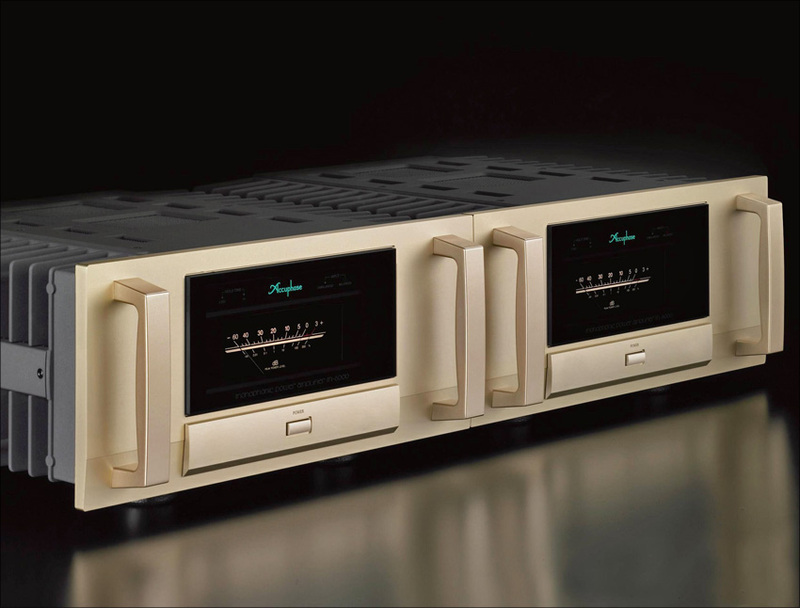 Looking for the best condition pre-owned reference amplifiers for your high-end system? E-mail us or call us today that we sell the best certified trade-ins, demos and in the business. Call us even if you don't see what you are looking for that most likely we have it. Contact High-End Palace 786 388-8050. HD PHOTOGRAPHY BY LARRY D. DIAZ FOR HIGH-END PALACE COMING SOON! Excellent condition BAT VK-300SE Stunning 300 Watts per channel in 8 Ohms and 600 Watts per channel in 4 Ohms masterpiece. True Dual Mono Class A/B Amplifier that shares nothing between left and right channel, even the power is not shared, this reference amplifier requires two power cords. 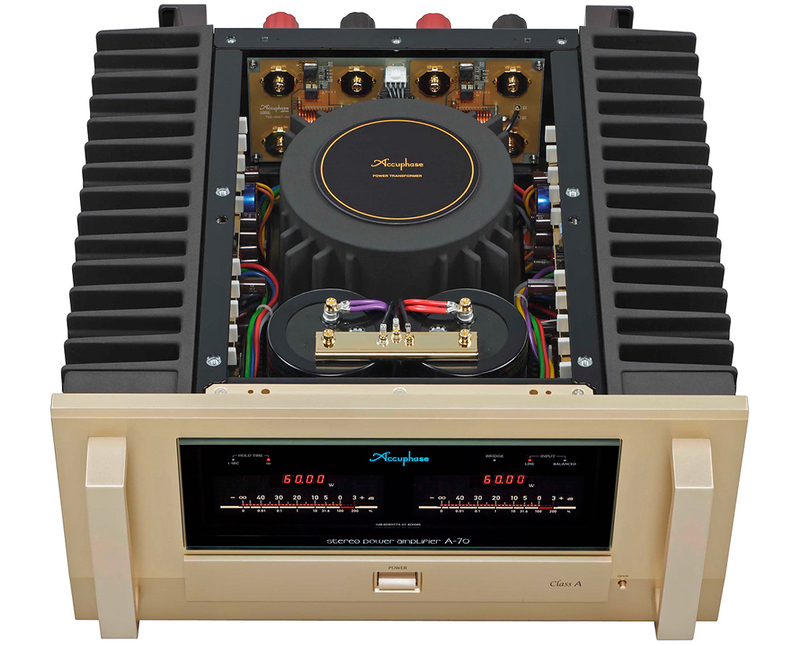 Stunning reference amplifier deal. Trades Welcome! Contact High-End Palace for this VK-600SE! Massive Pass Labs X-1000 Mono Amplifiers providing 1000 watts per channel in 8 Ohms and 2000 watts per channel in 4 Ohms in new conditions. It features Nelson Pass super symmetry CLASS A/B circuit topology. Will ship in custom wooden crates! Custom Sound Anchors stand available. For details contact High-End Palace 786 388-8050. Is now or never! Own this unique No 333! One owner unit hardly used in a secondary office system. Extremely low hours and fully check by Mark Levinson. 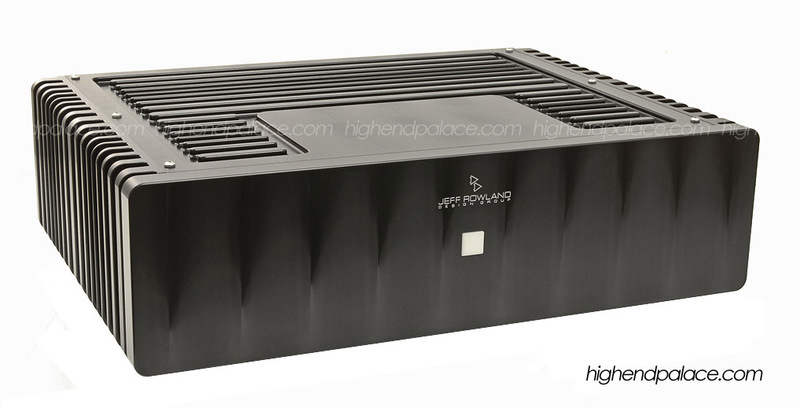 High-Current High-End Amplifier providing 1200 watts per channel @ 2 ohms, 600 watts per channel @ 4 ohms and 300 watts per channel @ 8 ohms. This dream reference amplifier has two sets of the big beautiful exclusive Mark Levinson binding post per channel and it has RCA and XLR inputs. 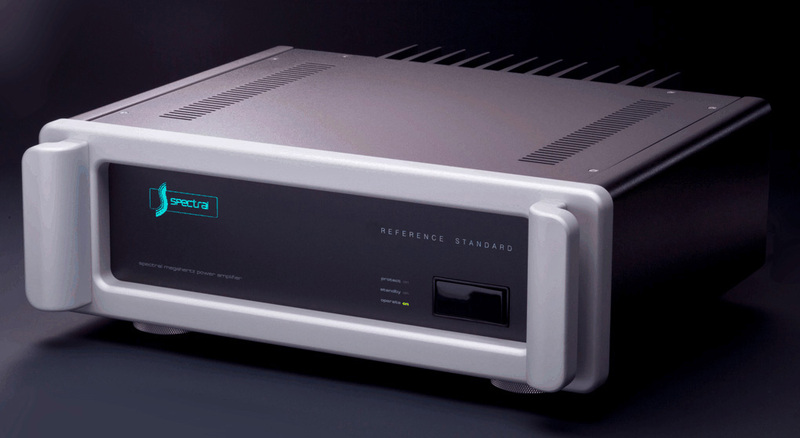 STEREOPHILE Recommended Component CLASS A. Certified Trade-In unit. Excellent conditions CJ ARTsa trade-in! 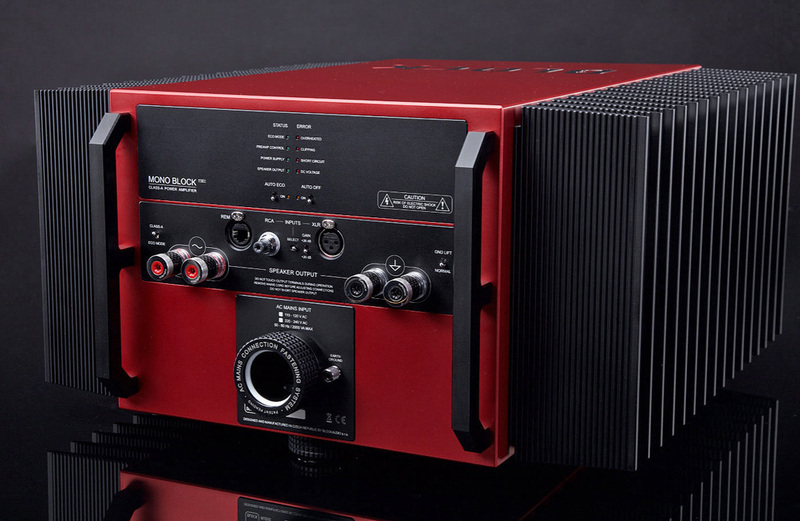 The limited edition 140 watts ART Amplifier is designed to be a reference amplifier for the use of industry professionals as well as dedicated audiophiles. 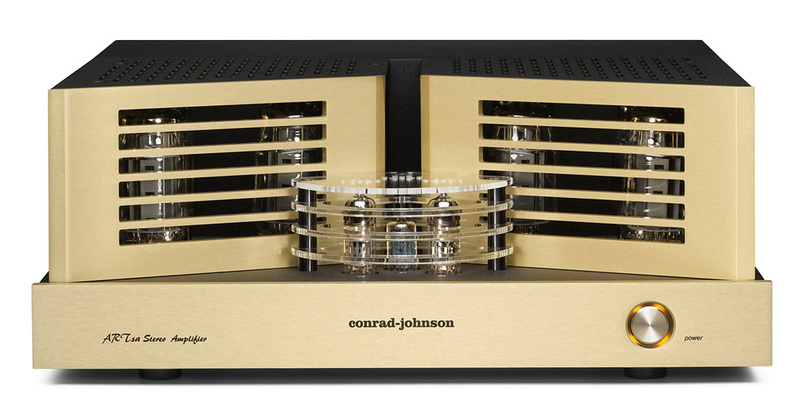 At conrad-johnson, our approach to circuit design is predicated on the principle that the surest path to both state-of-the-art musicality and exceptional reliability is simple circuits constructed of the finest available parts. These ART amplifiers exemplify this basic principle. The audio circuit has just three elements, each as simple as possible, and each essential to the operation of the amplifier. Separate, low impedance, discrete dc power supply regulators are provided for the input and phase-inverter stages, thoroughly isolating these stages from the power demands of the output stage. 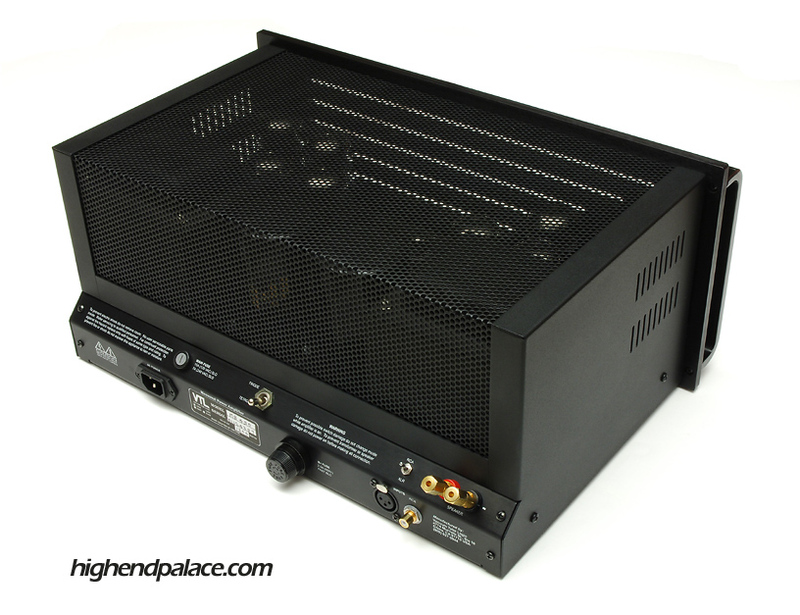 These power supplies are designed to maintain a rock solid supply at all audio frequencies. If you need any additional information call High-End Palace that you could not be in better hands. 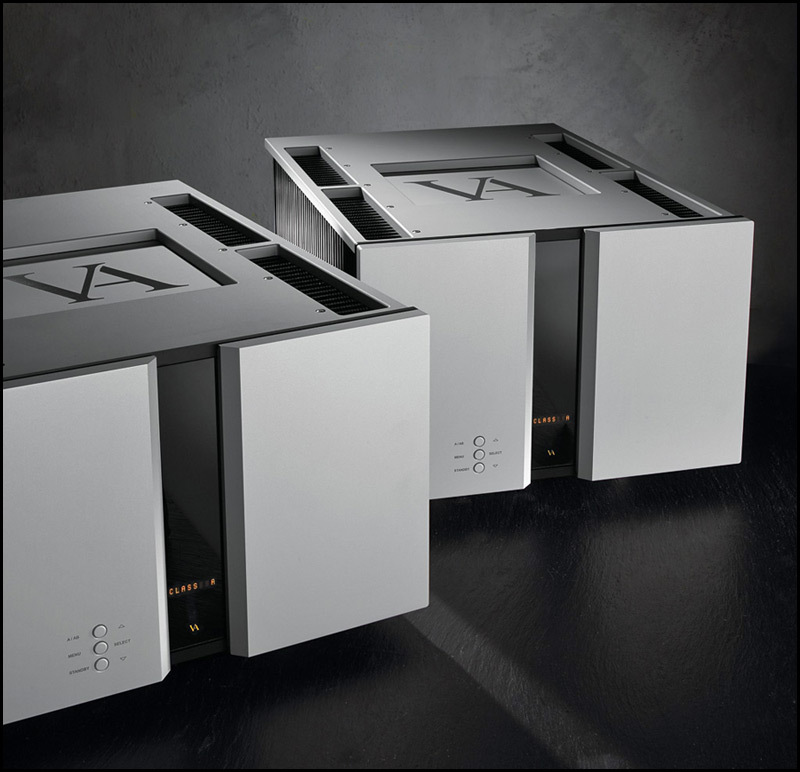 Excellent conditions Pass Labs Aleph 1.2 CLASS A Monoblocks designed by Nelson Pass. 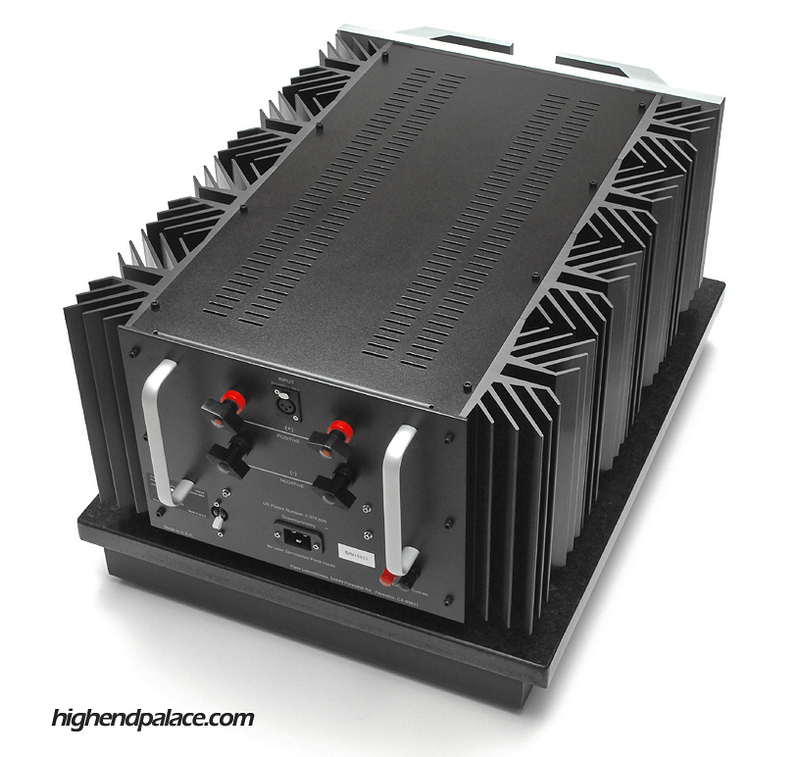 True high-end performance in single ended Class A amplification, 200 Watts per channel in 8 Ohms super monoblocks. Dimensions: 16.5" W by 10.5" H by 16.5" D. Weight: 240 pounds. If you need any additional information call me that you could not be in better hands. 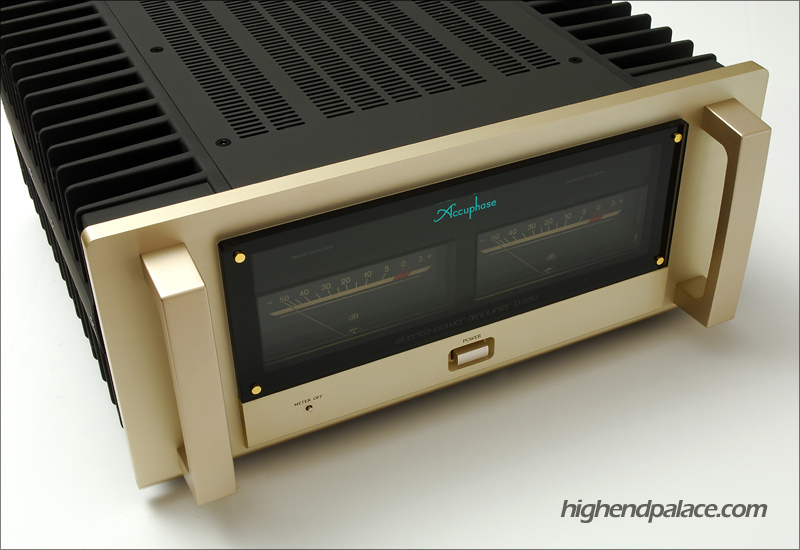 The Aleph 1.2 is certainly the most musically seductive high-power amplifier I've ever experienced. It's capable of turning any attempt at serious left-brain listening into a glorious right-brain bacchanalia. For those audiophiles convinced that only tubes can permit excursions into musical ecstasy, the Pass 1.2 may have them boogieing in their kilts. If I listened to music solely for pleasure, I'd buy a pair of 1.2s in a heartbeat. 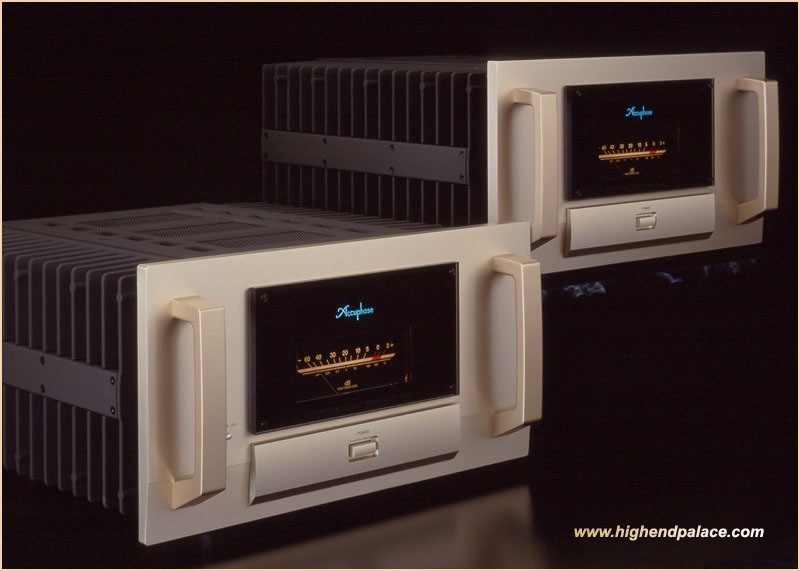 Like superior tube amplifiers, the Aleph 1.2's colorations are subtractive and superbly musical. Actual photos coming on soon! The latest handcrafted fully balanced high current $18,900 MBL 9007 Reference Stereo - Monoblock German masterpiece in new out of the box conditions. Black chassis 9007 with silver front logo with flight cases, gloves and manuals. Link to information and pricing: mbl 9007. Contact Larry at The Palace for information about these 9007 masterpieces. MBL most compact Reference Power Amplifier, the 9007 offers similar levels of power to the 9008A and 9011 Reference models—if not the ultimate in peak power—in a package that, while equally beautiful, is far less demanding of space. Because let’s face it, in order for our to Radialstrahler loudspeakers to create the magical illusion of no speakers at all, for them to conjure Miles or Jimi or Lenny into your listening room, a powerful amplifier is not an option, it is an absolute must. But power alone won’t get the job done. 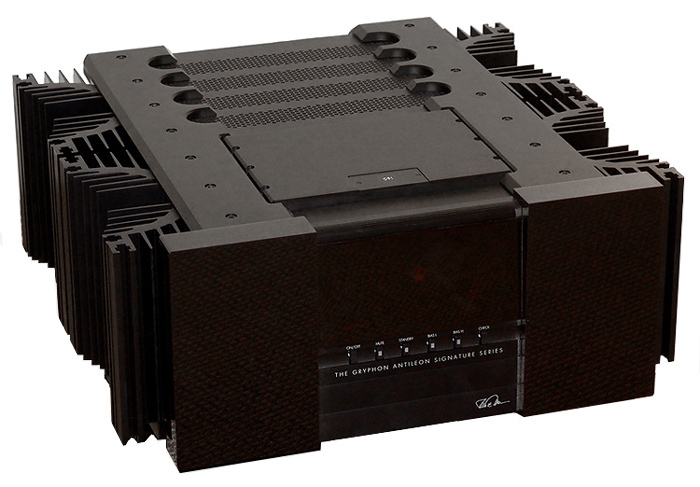 What MBL’s Radialstrahler speakers demand is an amplifier that can deliver huge levels of continuous and peak power, along with a refinement of sound that matches that of the Radialstrahlers themselves. A fully balanced design, the handcrafted 9007 is simply a smaller version of our statement amplifiers. It shares the same basic technology, parts and circuitry, and can also be operated in either mono or stereo modes. This true analog power amplifier is built only with discrete components. No integrated circuit, nor microprocessors are involved in this design. Our engineers have created a fully balanced design for mono operation. 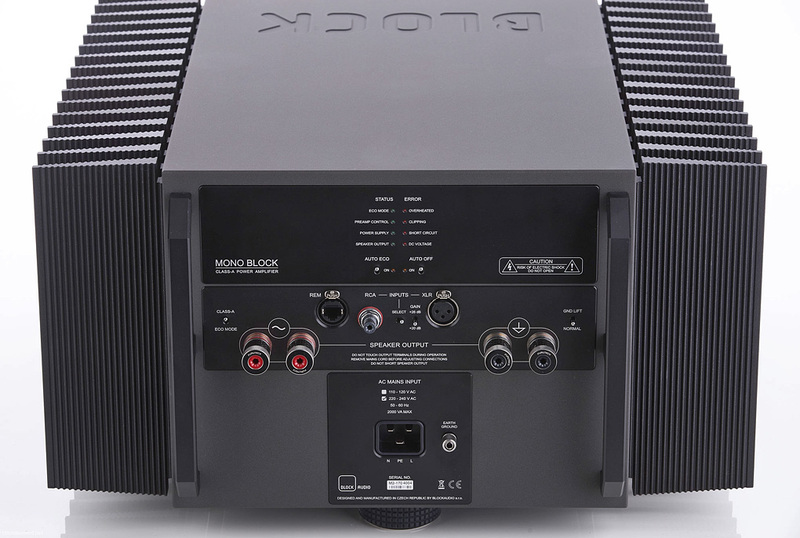 Though, there is a possibility to drive this amp in Stereo too, thus offering incredible flexibility, especially in High End home theater setups. In short, it is a technical masterpiece manufactured in the service of music. The circuitry technology concepts developed by MBL, such as the “DPP” (Direct Push Pull)is combined here with a unique new circuit board design with ultra-short signal paths. In addition, special low-induction components in the passive environment make it possible to exploit the full bandwidth of this amplifier. This fully balanced differential amplifier employs a custom built toroidal transformer for the power stage and 1 custom-built, fully-shielded toroidal transformer for the driver stage. The power transformer is mounted on an aluminum metal shield and encased in epoxy for ultra-effective damping. The output stage and the driver stage employ separate supplies to fully isolate the output stage from the input stage. 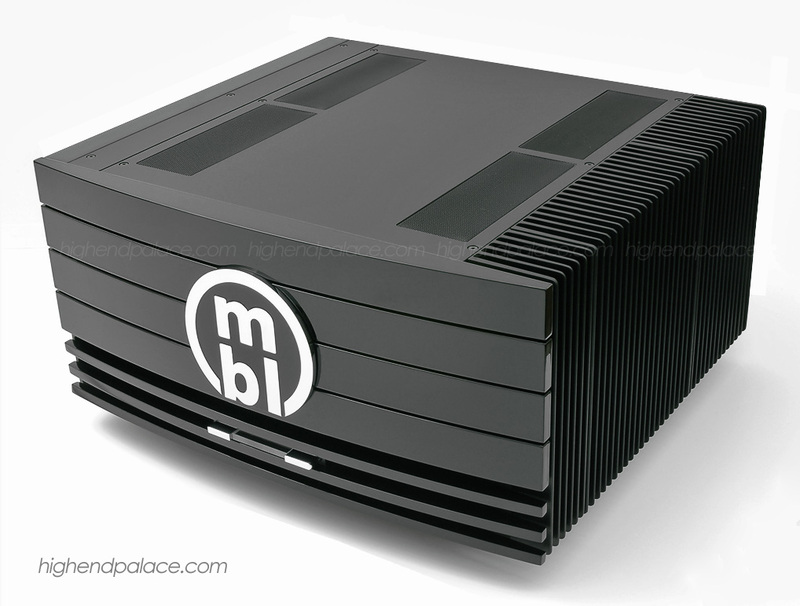 The mbl 9007 power amplifier can be used both in STEREO and in MONO mode. In STEREO mode the pre amp is connected to the power amp with two unbalanced cables. In MONO mode the pre amp is connected to two power amps with balanced cables. When placed in the context of a complete MBL system, one designed to operate as an entity, the 9007 will wow you with its ability to step aside and let the beauty and emotion of the music shine through. An MBL system isn’t like any other. It’s like being there. This 33H in pristine conditions! We have the ML white gloves, the Owner's manual and heavy duty ML double box. One owner unit! 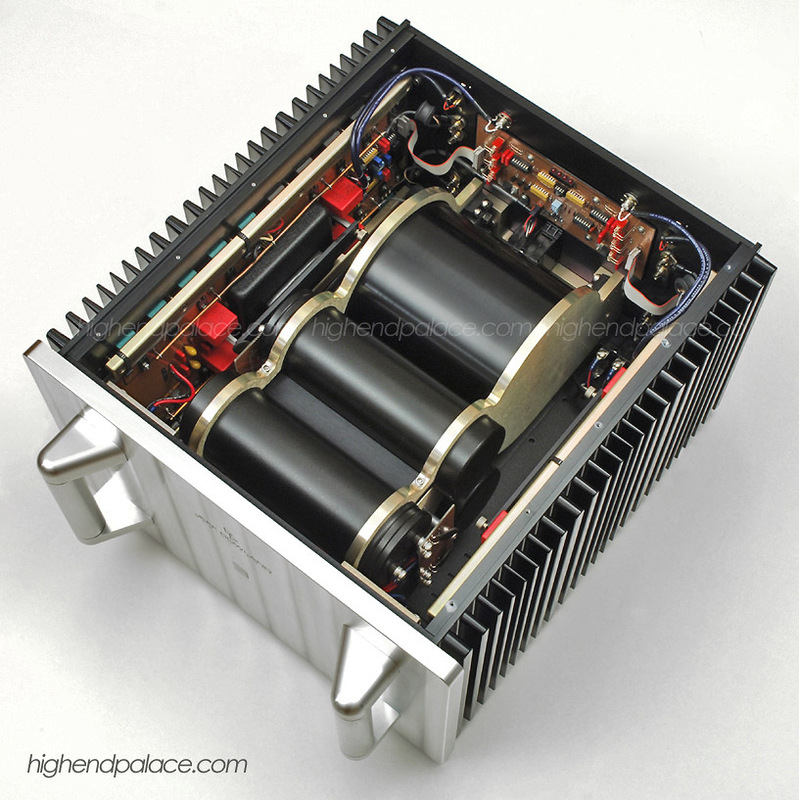 High-Current Amplifier providing 150 watts per channel @ 8 ohms, 300 watts per channel @ 4 ohms, 600 watts per channel @ 2 ohms and 1200 watts per channel @ 1 ohm. 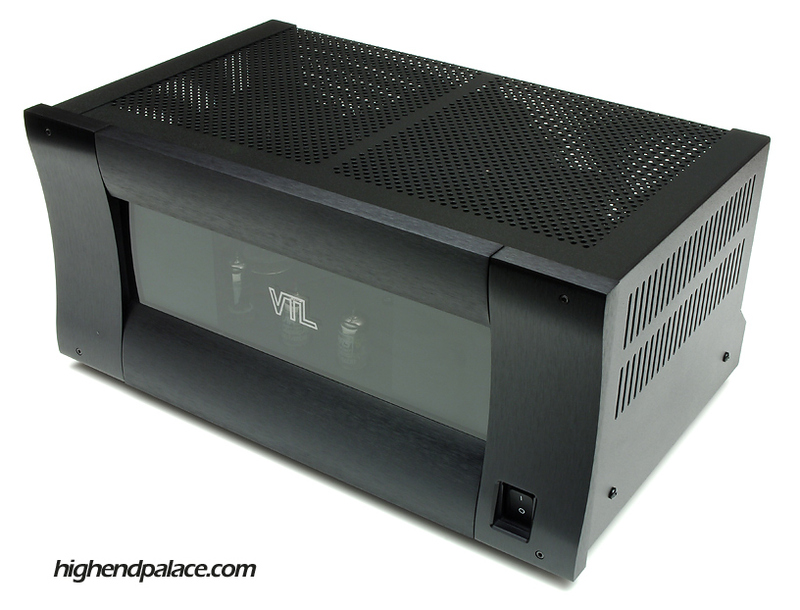 This all black Balanced Audio Technology VK-220 with BAT-PAK balanced power amplifier is one of the best affordable high-end audio amplifiers we have heard and tested here at The Palace. It provide extreme high-current with the BAT-PAK to provide good control with 98% of the loudspeakers in the market. This unit is in new conditions, like new out of the box. The VK-220 balanced power amplifier design is based upon the award winning topology used in BAT's reference VK-6200 multi-channel power amplifier. 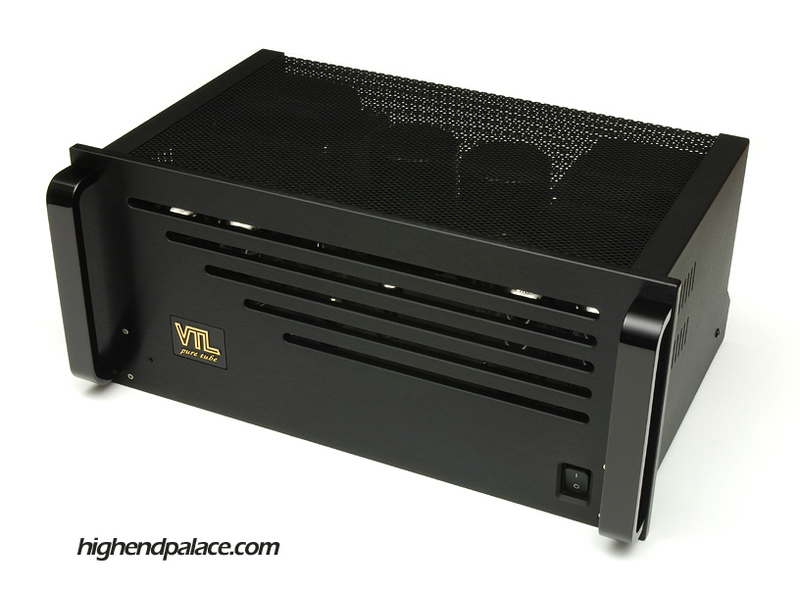 With 125 watts per channel available into eight ohm loads, and 250 watts per channel into four ohm loads, the VK-220 power amplifier is a compact power-house! The dynamic authority of the VK-220 is evident on even difficult speaker loads, and provides an unstrained ease on even the most demanding recordings. For even greater dynamic authority, add the optional VK-220 BAT-PAK to increase the power supply energy storage by a factor of five! The VK-220 features the same extraordinary build quality offered throughout the Balanced Audio Technology product line. From the meticulous layout of the printed circuit board, to the oversized 700 VA toroidal power transformer, to the elegant beauty of the industrial design, the VK-220 is a power amplifier that is built as superbly as it sounds. Like all of Balanced Audio Technology's products, the VK-220 excels at reproducing the rich colors, subtle textures, and powerful emotions portrayed in your favorite musical selections. The balanced circuit topology of the VK-220 not only reproduces the finest musical detail, but excels at conveying the deep silence between the notes. When you combine these attributes with the stellar dynamic capability of the VK-220, you'll hear a balance of virtues you never thought possible in such a compact and affordable design. 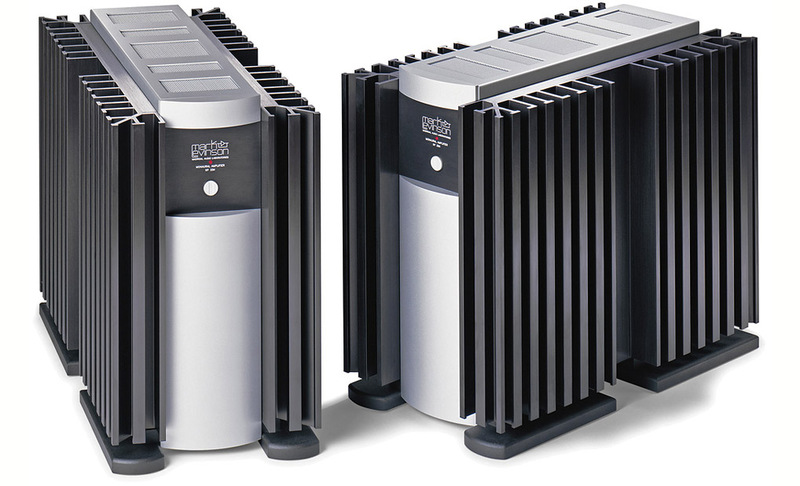 Actual photo of the LINN KLIMAX 500's Monoblocks for sale. HD Photography work done by Larry D. Diaz for High-End Palace. 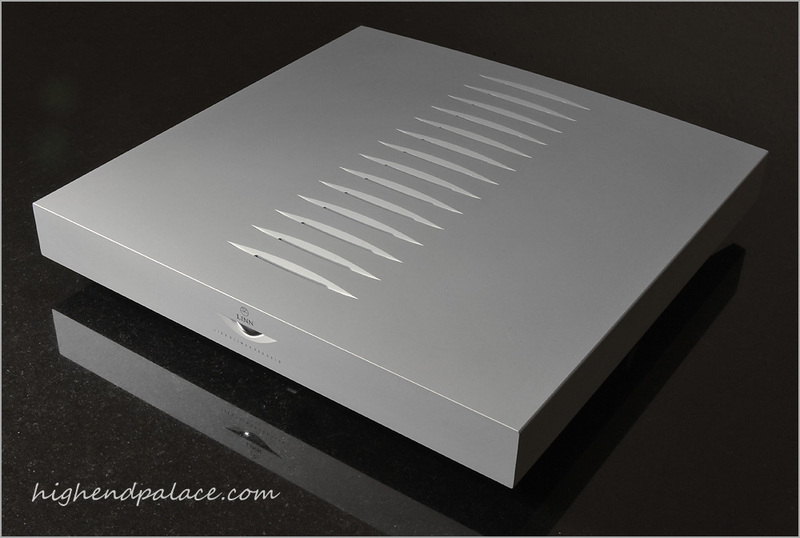 Presenting the LINN KLIMAX 500 Reference Mono blocks in new conditions at High-End Palace gentlemen! These Klimax 500's run cool, no heat what so ever. They weight 24 pound each 500 watts per channel LINN masterpieces in silver with XLR & RCA Inputs. If you need any additional information call me that you could not be in better hands. Contact Larry at High-End Palace 786 388-8050. 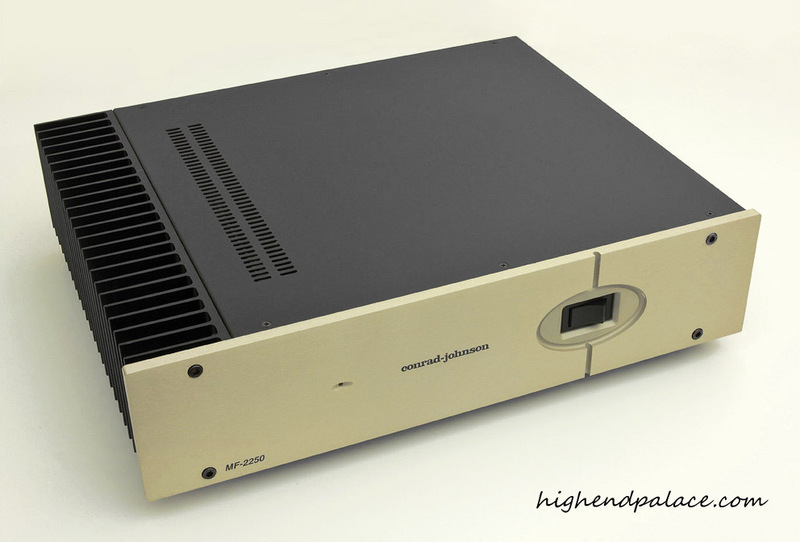 The legendary Jeff Rowland Model 2 Amplifier that looks like it has never been connected, like new out of the box! This Rowland Model 2 has the current to move any speakers of 86 dB of efficiency and above. Truly a one of a kind conditions Model 2 Amplifier with Jeff Rowland flight case and all accessories shown above which looks like they were never touched. Link to the owner's manual. Description: Solid-state stereo power amplifier. Power output: 150W into 4 ohms (18.75dBW) and 75W into 8 ohms (18.75dBW). Power bandwidth: 0.5Hz-160kHz -3dB. THD+noise: <0.05% at rated power. Damping factor: >100, 20Hz-20kHz, 8 ohms, equivalent to an output impedance of less than 0.08 ohms. Output current: 20A continuous, 35A peak. Overall gain and sensitivity: 26dB or 32dB; 141mV or 72mV (1W, 8 ohms). Input impedance: 36k ohms or 600 ohms. Common-mode rejection ratio: >60dB, 20Hz-20kHz. Power consumption: 25W standby; 225W idle; 400W maximum. Dimensions: 17.5" W by 14.25" D by 5.25" H. Weight: 85 lbs. The Phase Linear D-500 Series II was one of the best amplifier made in the 70's, yes it's hard to believe that it's been over 40 years. No matter what I did to this amplifier I was not able to clip it, it's one of the very few amplifiers that has all the power in the world to drive anything with ease. Back then I use to use them to drive with big studio monitors, even custom bass cabinets with dual 15" or dual 18" with JBL's or GAUSS bass drivers with superb results. This is a true collectors item, an powerhouse with amazing fidelity. This unit is in museum conditions gentlemen, I believe that the picture speaks for it's self. This is a one a kind Phase Linear D-500 Series II in flawless conditions. Now available the massive Classe Omega Reference Amplifier 450 Watts Per Channel in 8 Ohms and 900 Watts Per Channel in 4 Ohms Classe Omega with flight case, manual in superb conditions. Contact High-End Palace for more information. We have a BRYSTON 4B3 in black with handles in 10/10 condition. We also have three of these 4B, one 9/10 black sealed in the box, like new out of the box. This unit was sent to BRYSTON for a full check up and a new faceplate since it had two nicks on it and as you know we only sale mint stuff at High-End Palace. And, we have two silver in 8/10 conditions. These units are in mint conditions. These are certified 4B's provides 250 Watts per channel in 8 ohms and 400 Watts per channel in 4 ohms. We recommend a nice power cord. These 4B's are high current amplifiers, yet they don't put out any heat. A true tube master piece, a collectors item, out of production 50th Anniversary McIntosh MC2000 Tube Amplifier! 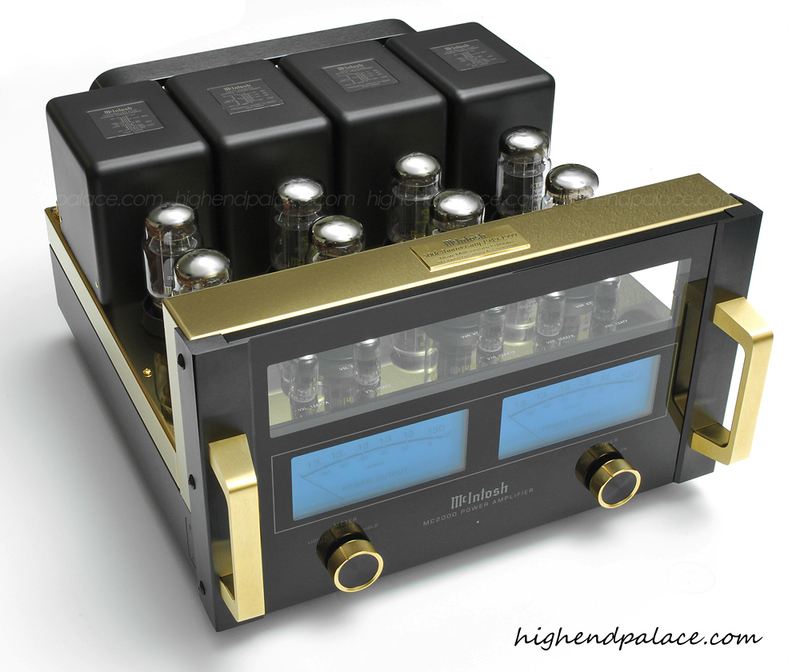 The most beautiful McIntosh tube amplifier ever made by McIntosh. Contact Larry at The Palace for details on this master piece. This unit is in pristine conditions, like new out of the box! Excellent conditions 30 Watts Per Channel CLASS A mono blocks that provides a warm and rich sound retaining the right balance between musicality and transparency. Very powerful for 30 Watts! RCA inputs and binding post for spades. 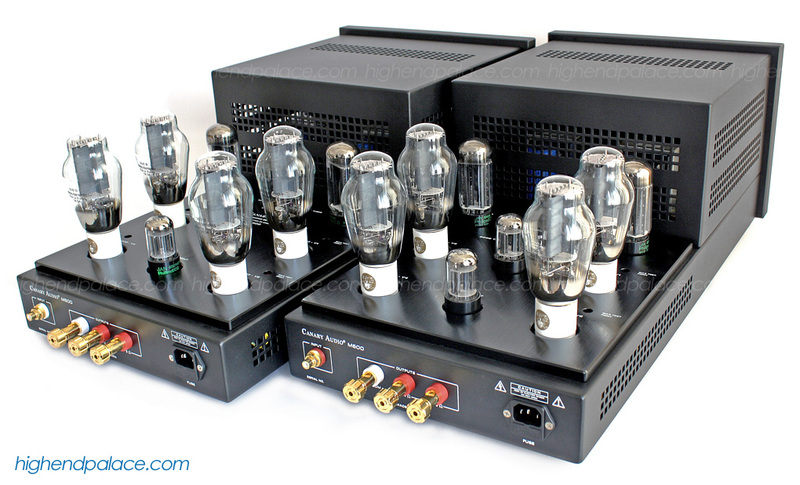 They use 4 tubes per Mono Block: Two 6550, One 12AX7 and One 12Au7 x TWO. 120 Volt units. Dimensions: 18.5" Deep x 8.25" With x 7.50" Tall x 2. Shipping Weight: 110 Pounds. Certified Trade-In. Fully checked by our high-end audio tech. Mint set of ACCUPHASE M-2000 world class reference monoblocks, Ultra-powerful output stage with 22 parallel push-pull transistors delivers 250W into 8 ohms, and remains linear down to extremely low impedance (2,000W into 1ohm, current feedback circuit topology assures great sound and stable operation, bridged use of two units possible for times the output power operation, large toroidal power transformer rated for 1.5kVA and balanced inputs. Besides being a joy to behold, the M-2000 of course sounds absolutely stunning. It handles the entire dynamic spectrum with ease and authority, letting the music emerge as never heard before. 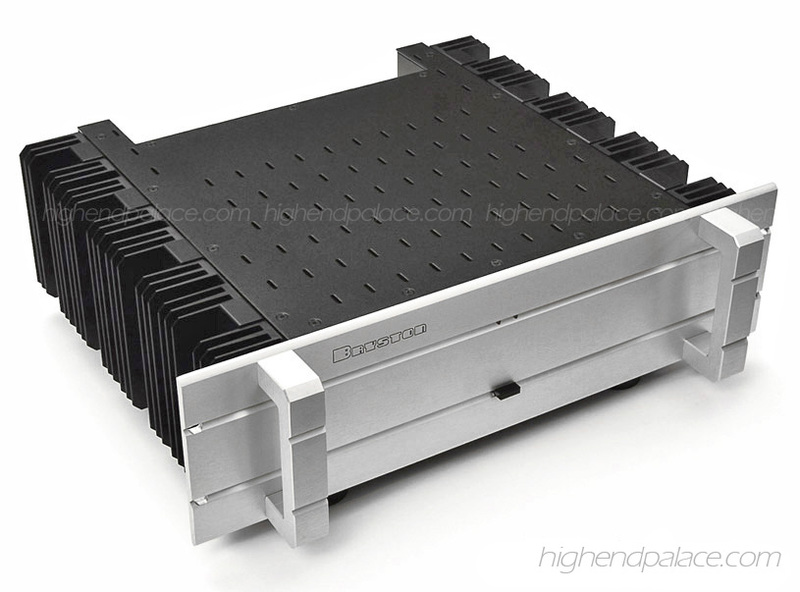 STEREOPHILE CLASS A Reference Mono Blocks. Link to the M-2000 specs. 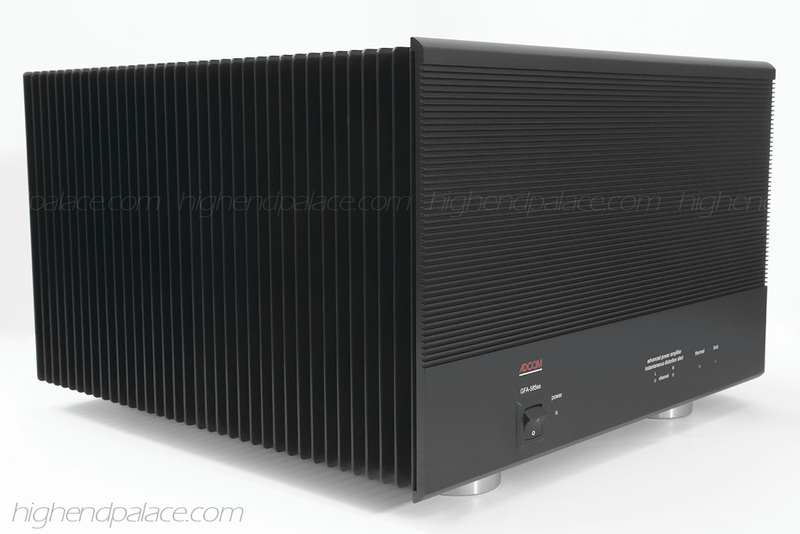 Contact The Palace for Accuphase Monoblocks! 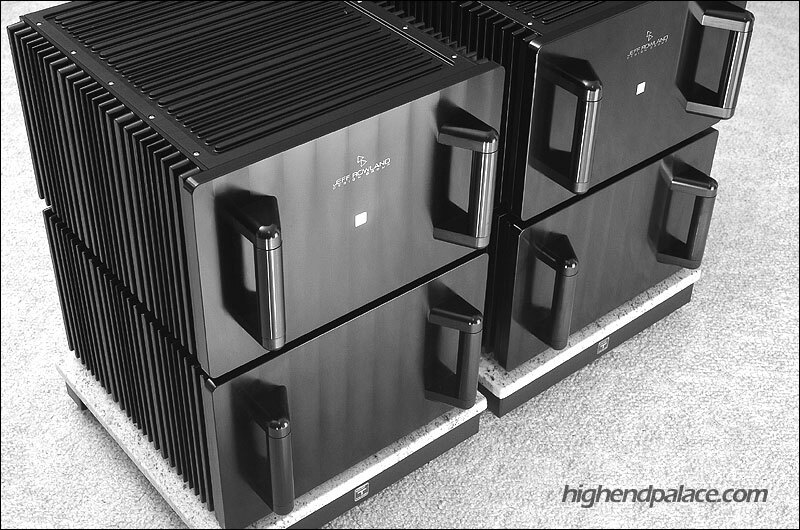 Mint condition set of Jeff Rowland 201 Monoblocks offering 250 watts in 8 ohms and 500 watts in 4 ohms Monoblocks let's you listen to your analogue set up or reference CD playback system without adding any sonic signature to it, total fidelity! Amazing Monoblocks! Link to Jeff Rowland 201 specs. We also have the the matching preamp, the Jeff Rowland Concerto. Pre-owned Spectral DMA-300 in excellent conditions. Pick up in West Palm Beach, Florida. No original packing but can box and crate professionally by us in custom wooden crates to ship for $250 any where in the US. This classic Spectral produces 225 Watts in 8 Ohms and 410 in 4 Ohms. 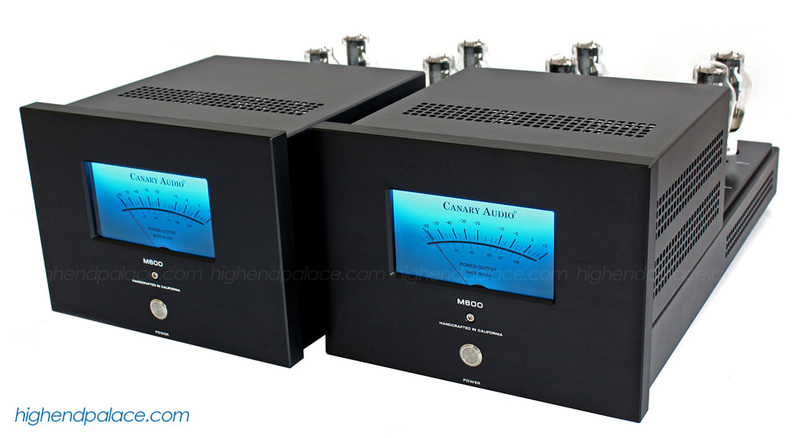 The Antileon Signature Stereo is regarded as one of the best power amplifiers in the world. This stunning beast took over five years to make, it breaks new ground in audio performance, exploring new technologies in components, materials and circuit topology to create a direct music conduit with consummate sonic neutrality, textural purity and dynamic ease. 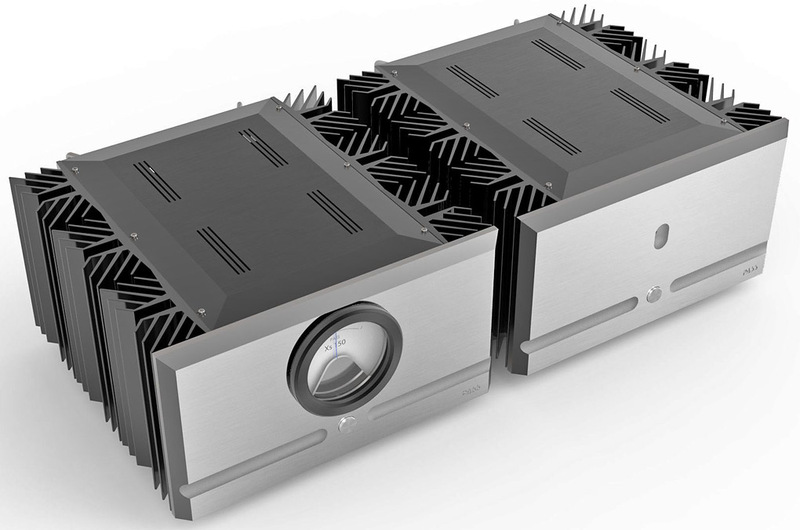 The Gryphon Antileon Signature dual mono power amplifier features: Conservatively rated at 150 W Class A (8 Ohms), doubles power output to 300 W into 4 Ohms, doubling again to 600 W into 2 Ohms, delivering an amazing 1,200 W into a 1 Ohm load for guaranteed stability with any loudspeaker, Pure Class A in a fully balanced circuit with zero global feedback, 40 High current bipolar output transistors, twin 1,500 VA toroidal transformers mounted in a metal shield encased in epoxy for effective damping, 440,000 µF power capacitor bank, Flat frequency response to beyond 350kHz, Gryphon Guideline Reference gold-embedded silver internal wiring, Separate power supply for display and control circuits, No output relays, Automatic Green Class A bias setting or manual Low/High bias, AC power status display, AC polarity indicator, Upgradeable microprocessor software with integrated service log. High-End Palace is not a GRYPHON dealer. GRYPHON does not provide warranty unless you buy it new from authorize dealer. 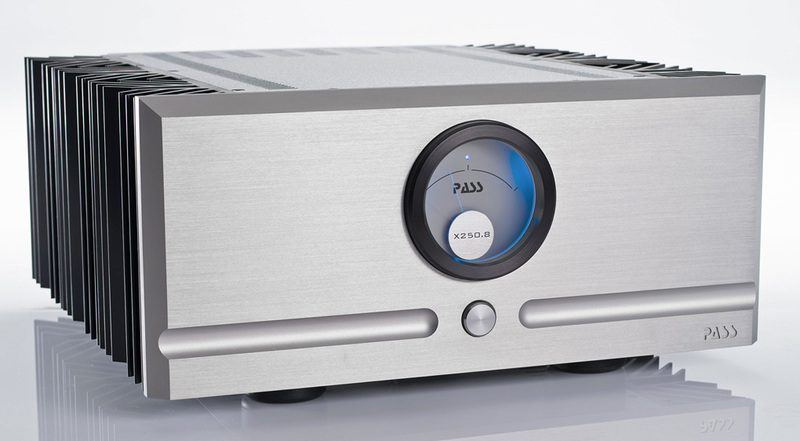 The KRELL KAS Pure Class A Mono Blocks are regarded as one of the best high-end amplifiers ever built in the history of high-end audio. These particular set of KAS are in best condition we have seen or sold in the last 10 years and we have sold a few. I believe that these photos speak for them self. Like new, extremely low hours! We have all original double box, packing and hardware. The Model 8T Reference Amplifier has the flexibility to accommodate tube or solid state preamps of any gain and impedance. 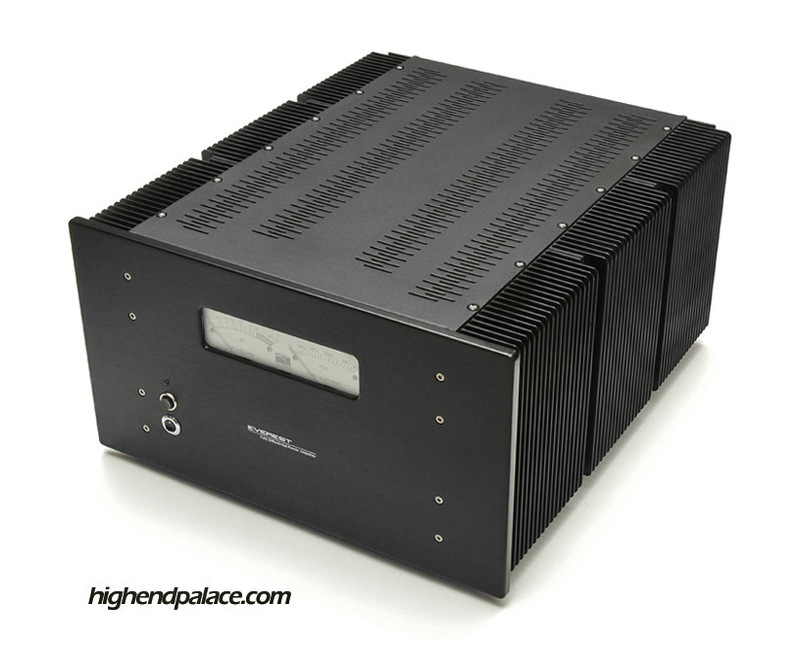 This stunning world class stereo amplifier delivers 250 W/P/C into 8 Ohms and 400 W/P/C into 4 Ohms per channel. Mint condition Jeff Rowland Model 8T with flight case, a statement in amplification, a collectors item, an absolute stunner! 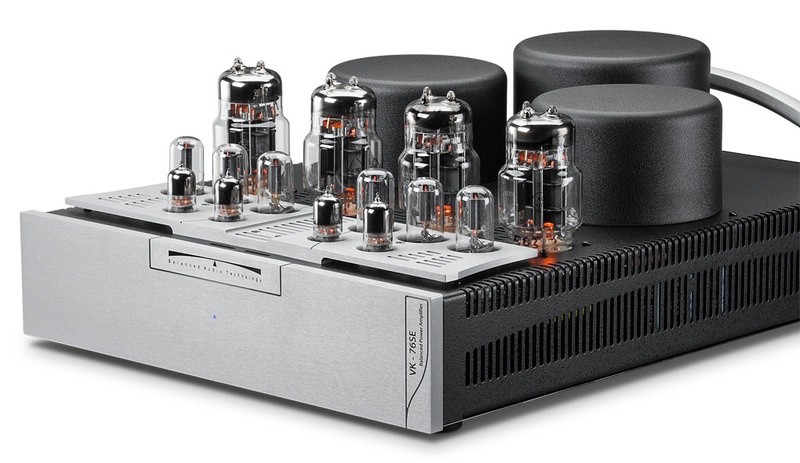 The new stunning VTL ST-150S Tube Amplifier is one of the most desirable reference amplifiers in high-end audio right now. This 150S provides a superb sound and it has a new look that speaks for it self. Yes sir! Eye candy audiophiles. The 150S has a new 5/8" thick faceplate, 150 watts in Tetrode or 75 watts in Triode per channel. Complement: 8 x 6550C, 2 x 12AT7 and 2 x 6350, Dimensions: 19" W x 13.25" D x 8.75" H, Weight: 90 pounds. One owner, very low hours, like new! Actual photo of the cj-mf-2250 for sale. Photography work done by Larry D. Diaz for High-End Palace. Excellent conditions cj-mf-2250 with gold faceplate offering 125 Watts per channel, personal amp in my office. Also have the matching cj-pv12 preamp. Visit our website and look under CERTIFIED TRADE-INS, PRE-OWNED & CONSIGNMENT that we have been told for years that we sell the best certified trade-ins in the world. If you need any additional information call us that you could not be in better hands. This gorgeous Accuphase P-650 Reference Stereo Amplifier you see here delivers 100 watts in 8 Ohms, 200 watts in 4 Ohms and 400 watts in 2 Ohms. 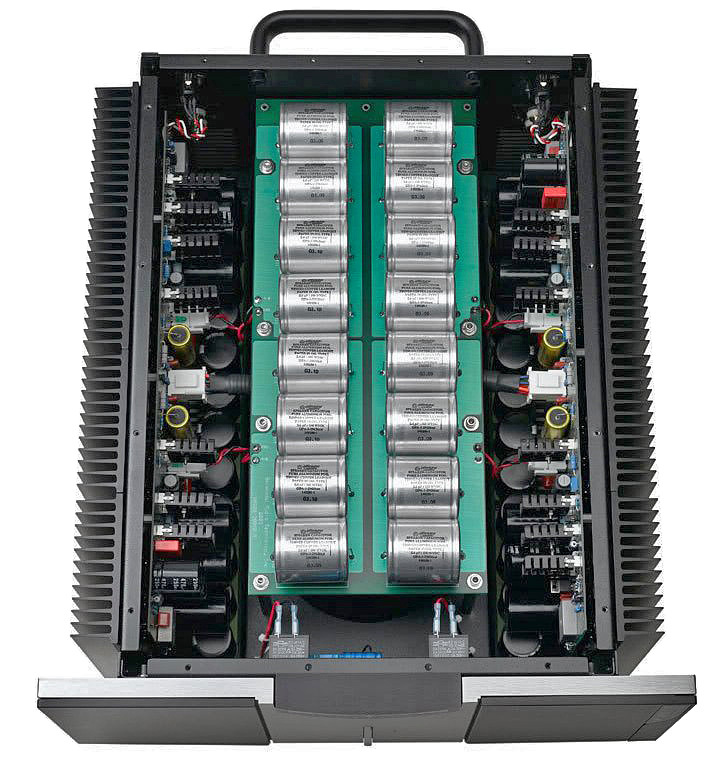 The P-650 has circuit boards made from Teflon, XLR inputs, a powerful 6-parallel push-pull output stages that delivers linear power into ultra-low impedance loads, current feedback guarantees great sound and stable operation, massive Super Ring toroidal transformer rated for 1 kVA. Absolute mint condition, like new! We have the manual, box and original packing materials for this beast. 120 volts unit US model. Link to the Accuphase P-650 brochure. 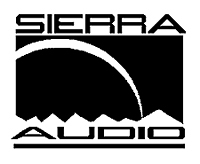 The SIERRA EVEREST were made by a division of PBN Audio/MONTANA Speakers. We have two EVEREST available, they can be use in stereo or as mono blocks, the specs are as follow: 300 watts in 8 ohms, 550 watts in 4 ohms in stereo, as mono blocks you are looking at 1000 watts in 8 ohms or 1800 watts in 4 ohms. Shipping weight: 230 pounds each. Dimensions: 11" tall by 19" wide by 23" deep. About the sound? The EVEREST puts out an unbelievable sound, effortless, smooth, is truly a wonderful amp. Reference mono blocks with the flexibility to accommodate any preamp of any impedance and gain, tube or solid state! Four full chassis with separate transformers for each monoblock providing a true 350 W/P/C into 8 Ohms and 700 W/P/C into 4 Ohms per channel. We have the all of the accessories, Cardas Link cord, manuals even the custom Jeff Rowland flight cases for each chassis. We are even including as shown in the photo a new set of custom made Sound Anchors stands for the Model 9's! You will not find another set of Model 9's in this conditions any where in the world unless you call Jeff at home and tell him to build you a new one! Own a master piece, a true statement in amplification, a collectors item, the best! These VTL MB-450 mono blocks are the cleanest we have had here at High-End Palace over the years, they look like brand new of the box. A very careful owner had them in a dedicated listening room to enjoy music for a little while a few night a week. We have the box and manual for them. This No 336 is like a brand new out of the box, pristine conditions! We have the ML white gloves, the Owner's manual and heavy duty ML double box. 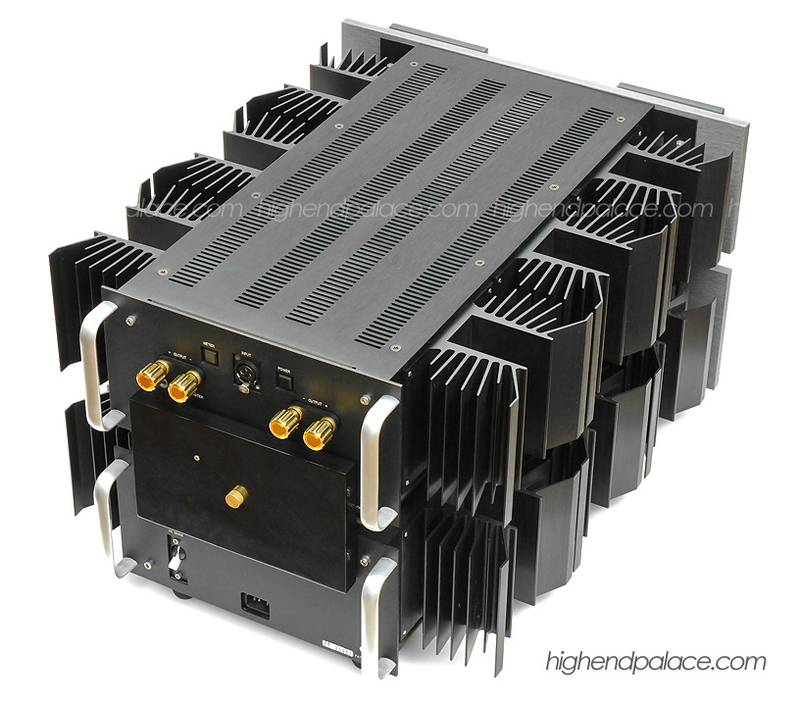 High-Current Amplifier providing 700 watts per channel @ 4 ohms and 350 watts per channel @ 8 ohms. STEREOPHILE Recommended Component CLASS A.